Indeed, there was no road marked, but Google Maps insisted that our destination Gajlaxmi Palace was nearby. The seconds ticked away slowly and Kalia sat on the edge of his seat, teeth chattering, his nose to the steering wheel, until we finally saw a white edifice looming to the right. By the time we had finished rejoicing and unloading our bags, our driver had convinced our hosts that we planned to murder him and decamp with his vehicle. Why two travel writers on assignment would want to pop off their driver was perhaps beyond poor Kalia’s comprehension, but we hoped that it was just Dhenkanal’s wilderness and the long drive that distressed him! This was indeed wild country. Inhabited by aboriginal tribes since prehistoric times and surrounded by lush river valleys and the Bahukhai and Kapilash Forests of the Eastern Ghats, Dhenkanal is home to tigers, elephants and other beasts. Located on the gentle slopes of the Megha Hills, the double-storey palace is tucked in an untamed patch on the town’s quiet outskirts. Jitendra Pratap Singh Deo or JP and his charming wife Navneeta run it as a heritage hotel. Strewn across its living spaces and rooms were large sandook (chests), period furniture and artefacts while hunting trophies lined the walls. From a glass showcase in the drawing room, the shiny eyes of the dreaded man-eating tiger of Naranpatna glowered at us. It had claimed 83 victims before being shot by JP’s father Kumar Saheb Ranendra Pratap Singh Deo at Koraput. The trophy and the palace featured in Satyajit Ray’s Royal Bengal Rahasya, shot by Sandip Ray, besides a host of other films. By morning, Gajlaxmi Palace wore a more cheerful air. We savoured the view of the surrounding forests from the terrace and took a morning walk through the orchard to a water tank frequented by elephants, wild boar, barking deer, civet cats, rabbits, peafowl, jungle fowl and raptors. Being the only water source in the area, it attracted all sorts of wildlife. Our appearance from a thicket startled a sambhar on the opposite bank. Back at the palace, Navneeta explained over breakfast how the palace took seven years to build before being completed in 1942. When she came here from Udaipur in 1998, it was total wilderness and one couldn’t even spot a cyclewala! Her innate Rajasthani love for heritage and hospitality, prompted her to convince JP to renovate it into a heritage stay in 2009. They finally opened in February 2011, naming it after the famous Gajlaxmi puja of Dhenkanal. Despite the proximity to Bhubaneswar airport (100 km away), things didn’t look up until they were featured in an international guide as a ‘rural retreat.’ Most of their visitors were from Europe and would often end up extending their stay. 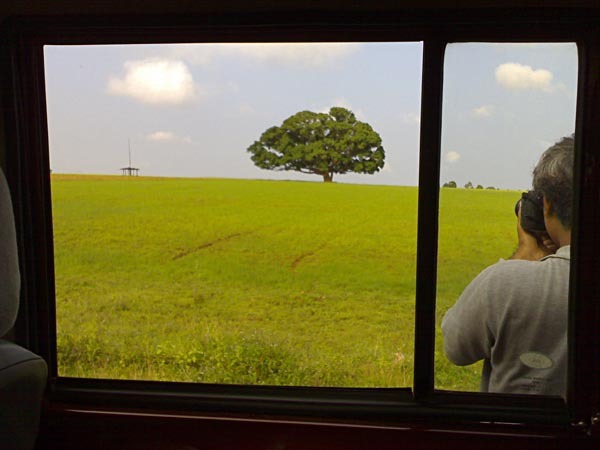 JP takes his guests on jeep rides to Satkosia, Saptasajya and other excursions. The summer heat forces the hosts to close down for 4 months from April, but the rest of the year is excellent for nature walks in the surrounding orchard full of cashew, jackfruit, mango and litchi trees and dense clumps of sal and bamboo. 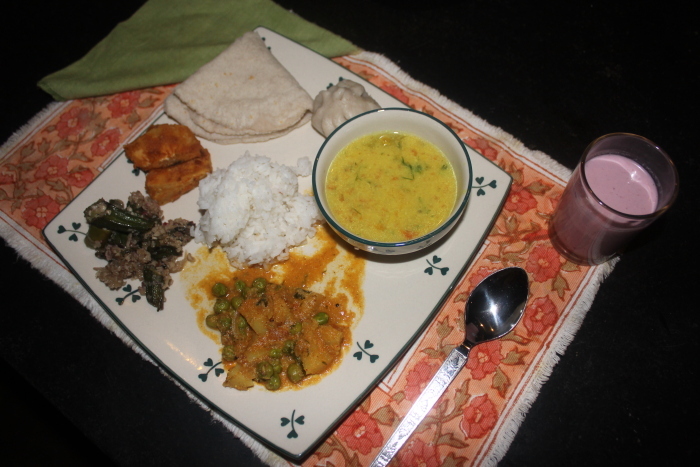 The homegrown produce from the farm like papaya, drumsticks, carrots and cabbage are conveniently used in the kitchen. Besides Dhenkanal, the extended royal family of Singh Deos also reigned other princely states like Balangir, Kalahandi and Mayurbhanj. Dhenkanal is supposedly named after a Sabara tribal chief called Dhenka who ruled this patch in 16th century. Sridhar Bhanja, a local chieftain from the neighbouring region of Garh Besalia, vanquished Dhenka in battle. Dhenka’s dying wish was that the area be named after him and his sacred relic be preserved and worshipped. The area was called Dhenkanal in his memory and his relic is worshipped at Dhenkanal Palace to this day! In 1529, Hari Singh Vidyadhar, commander of the southern forces of Gajapati king Pratap Rudra Deva, defeated the local Bhanja chief and established control over the region. The Gajapati Maharaj crowned him as the Raja of Dhenkanal and ever since, 18 generations have ruled the throne. Dhenkanal Palace, a large complex on the slopes of the Garhjat Hills, was built at the site of a fort that witnessed a long drawn siege with the Marathas. Six rooms have been reserved for guests, two large family rooms double up as lounges while the Durbar Hall hosts folk music and dance performances on request. Be it Aul Palace near Bhitarkanika or Parikud Palace near Chilka, many of Odisha’s old palaces are being converted into heritage hotels. Dhenkanal town doesn’t have major attractions, except the 16th century Siddha Balarama Temple with its 90 ft high spire that towers over town, the Dhenkanal Science Museum near the palace Rajbati and the District Museum, which houses weapons of erstwhile rulers and Paleolithic tools found in archaeological excavations. The presence of Dhenkanal College, Indian Institute of Mass Communication and other educational institutions gives the town a youthful air with a large student population. Snack vendors park their cycles outside schools, colleges and street corners to dish out dahi bada and the eponymous Dhenkanal bada, a traditional fried snack of black gram and rice served with ghughni (yellow pea curry). After a quick bite at Gourang Mishtan Bhandar, we drove 24km via Karmul to Joranda, the religious headquarters of ‘Mahima Dharma’, a 19th century monotheistic cult and reform movement that is often described as ‘the world’s youngest religion’. Joranda houses the samadhi of its founder Mahima Gosain. Ascetics in loincloth with long matted hair roamed about the vast complex dotted with temples – Shunya Mandir, Dhuni Mandir and Gadi Mandir. They believe in a single supreme God or parambrahma named Alekha who is formless and omnipresent. Monks lead a life of austerity, celibacy, piety and constant movement, as they cannot sleep in the same place on successive nights or eat twice in the same house. The temples have no idols, only beautiful lamps and feathers and the evening arti is a sublime experience. At the Joranda fair, in existence since 1874, devotees pray together, recite ‘Alekh Brahma’ and burn ghee for universal peace and harmony. Backtracking to the Y-junction at Kaimati, we continued to Kapilash. At 457 m, the lofty peak with its 13th century Shiva temple of Chandrasekhar is hailed as the ‘Kailash of Odisha’. 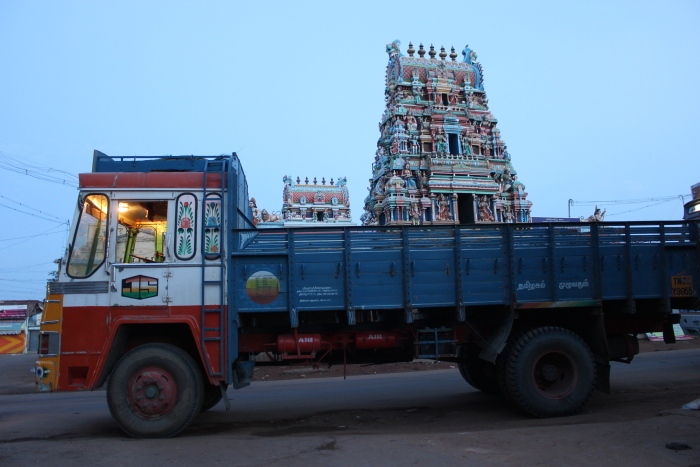 We parked at the base of the hill, but instead of hiking up 1,351 steps, hired a 4-wheel-drive jeep to tackle the steep ghat road and twelve hairpin bends to the temple. The spire of the Shiva temple bears an image of Lord Jagannath, which demonstrates the synthesis of Shaivism and Vaishnavism. East of the main shrine, at a higher altitude of 2239 ft, stand the temples of Narayan and Vishwanath, the latter being older than the Chandrasekhar temple, hence also called ‘Budha Linga’. Dhenkanal is excellently placed for excursions. Perched at 900 feet, the hill temple of Raghunath or Lord Rama at Saptasajya, 14km away, was built by Rani Ratnaprabha Devi of Dhenkanal. The name Sapta Sajya refers to the ‘seven hills’ where Lord Rama, the Saptarishi (seven celestial sages) and the Pandavas are believed to have stayed. We drove into a nondescript village called Sadeibereni where craftsmen practiced the ancient art of dhokra – an indigenous metal casting technique using the lost wax method where they use clay, beeswax and scrap metal to make bracelets, necklaces and idols of gods and goddesses, besides utilitarian pieces. At the weaving village of Nuapatna, the narrow bylanes resound with the clackety-clack of looms as weavers and master craftsmen avidly share their technique of creating these lovely khandua paat (traditional bandha or ikat saris). It was again late evening by the time we drove past Chaudwar towards Kila Dalijoda. Kalia was at the wheel and it was pitch dark outside. He cleared his throat nervously and uttered ‘Babu…’, but luckily we spotted two pillars and on a hunch asked him to drive through. We ended up at a beautiful two-storey stone house and were welcomed by Debjit Prasad Singh Deo and his wife Namrata who run Kila Dalijoda as a heritage homestay. Stone steps led up to a hall of the European style mansion with lovely stained glass windows, arches and period furniture. Once a hunting lodge of the erstwhile rulers of Panchakote, Kila Dalijoda was built in 1931-33 by Raja Jyoti Prasad Singh Deo. It was named after the adjoining Dalijoda forest range of the Kapilas Elephant Sanctuary that once stretched right up to its doorstep! The original patch of Kila Dalijoda spread over 11,000 acres; today the holding has shrunk to just 40 acres with two large tanks on the property. While we devoured home-cooked Odiya fare like machha besara (fish in mustard curry), saag (greens) and arisa pitha (deep fried rice pancake), Debjit helped us plan our trip to Bhitarkanika and nearby craft villages and tiny hamlets of the Saura and Munda tribes. The proximity to the Mahanadi and its back channels gave ample opportunities for fishing and the gently undulating tracts were great for cycling. By the time we were done with Kalia on the Odisha guidebook project for Outlook Traveller, we had driven 3000 km around the state. Air The nearest airport at Bhubaneswar is 80 km from Dhenkanal, from Kila Dalijoda it’s only 45km. 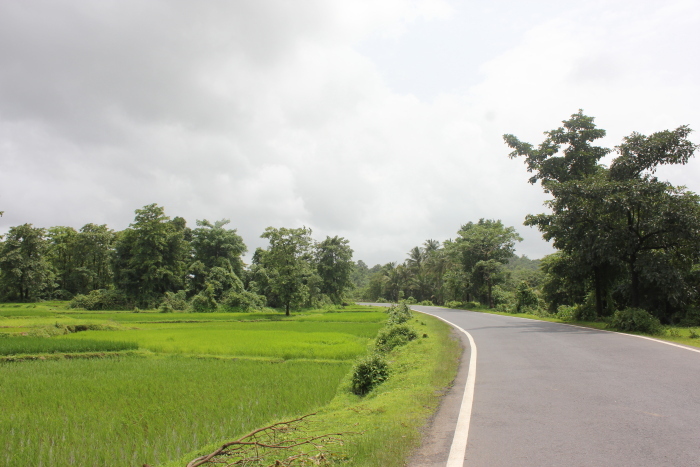 Road 75 km NW of Bhubaneswar and 55 km from Cuttack via NH-55 via Chaudwar, while NH-42 connects Dhenkanal to Sambalpur and Rourkela. Many of the royal palaces in and around Dhenkanal have now been converted into heritage hotels and palatial homestays. Try the Dhenkanal bara and local sweets at Gouranga Sahoo Mistharna Bhandara (Ph 06762-224861, 9778228877) on College Road and Prasidha Bara in Ganesh Bazaar. Dhenkanal is also known for its Chhunchi Patra, a sweet cake made of ground coconut, rice and maida. Dhenkanal is great to visit from October to March. The Joranda fair is held on a full-moon day in the Hindu month of Magha (Jan–Feb). Shivaratri is celebrated at Kapilash with great fervour in Feb-March. The Ramnavami Fair at Saptasajya is held in March-April. Having caught the last flight to Stuttgart in the group, I had the least amount of time to do justice to the extensive spread at Restaurant Trollinger at the Mövenpick Hotel just outside Stuttgart Airport, let alone shower and change. But it was a taste of what lay ahead. Patience, I said to myself, as we got ready to take on the Deutsche Fachwerke Strasse. The historic German Timber Frame Road runs 3,000km north to south through medieval towns with cobbled streets and half-timbered houses, heritage walks by guides in period costume and Swabian cuisine dished out at cellars, weinstube (wine restaurants) and biergartens (beer gardens). We were covering the 772km-long southern Red Route, a dramatic landscape where both history and geography had been shaped by the course of rivers and receding ice after the last Ice Age. It was a short drive from Stuttgart to the charming little town of Bietigheim-Bissingen (actually two, for the price one). In 1975, Bietigheim and Bissingen, 3km apart, became twin towns. Locals fondly call them Bi-Bi! Anette Hochmuth from the German Framework Road greeted us near the town square and led us through the Unteres Tor (Lower Gate), the last surviving original gate. Quirky art was typical of Bietigheim with sculptures like Kuhriousum (a cow on a milk can), Die Schwätzer (The Gossipers) and the outré Villa Visconti or House of Heads sporting a façade with heads of celebrities. We walked to the Marktplatz, the medieval town centre lined with spectacular buildings like the Rathaus (town hall). It was built in 1507 in the Black Forest region, dismantled and brought on rafts down the Enz River and reassembled here. Near the Old Latin School, Hornmoldhaus was one of the best-preserved Renaissance houses in South Germany with exquisite woodwork and painted interiors. It housed the Stadtmuseum (City Museum) and a miniature model of the town. The reason they were called half-timbered houses was because of the wood-saving skeleton with self-supporting timber and curtain walls that had a filling of clay, mud, hay or brick. The method was both ecological and aesthetic. Stone was the privilege of the elite, which gave rise to the German expression steinreich or ‘stone rich’. We continued to the wine village of Besigheim, surrounded by the Neckar and Enz rivers. Dominating the market square was the Town Hall built in 1359 and the charming Dreigabelhaus or Three-gabled house. The traditional Restaurant Ratsstüble is a great place to try Swabian delicacies. Swabia, a historic region in present day Baden-Württemberg, boasts its own distinct culture and cuisine. Our visit co-incided with Spargelzeit or Asparagus Season and the local favourite white asparagus was on the menu. Also on offer was Maultaschen, pasta stuffed with minced meat, spinach, onions and breadcrumbs. And thereby hangs a tale. During Lent, ‘good’ Christians usually refrained from meat, but the cheeky Cistercian monks of Maulbronn Abbey were unwilling to do so. They hid the meat inside the pasta so God would not be able to see it! Since it looked like a tasche (bag) and came from Maulbronn, it was called Maultaschen. Nicknamed ‘Swindlers of the Almighty’, the coarser Swabian dialect was less charitable – the tongue twister Herrgottsbescheißerle means ‘God’s little bullshitters’! Next up was Schorndorf, a 12th-century medieval town famous as the birthplace of Gottlieb Daimler, born here in 1834. His house and birthplace display his drawings, memorabilia and photos, tracing his transformation from a baker’s son to the inventor of the first small, high-speed petrol engine. The Galleries for Art & Technology had several of his inventions, automobiles and the first motorised bike. Daimler was working on an electric engine long before there was running water and electricity. In 1350, when Schorndorf’s fortifications were expanded to encircle the burgeoning town with new walls, people appropriated the old city walls to save money. One such specimen was a crooked house on Rommelgasse simply known as The House on the Wall. The houses were so close together one wonders if they could have built a common wall and reduced costs. But a small alleyway separated the houses, to prevent fires from spreading rapidly. Rather more poignant were the cobblestone-sized memorials we literally stumbled upon. Started in 1996 by Gunter Demnig, these Stolpersteine or stumbling stones were created to commemorate victims of the Holocaust, put outside the house where they were last seen before being deported to concentration camps. Like Schorndorf, nearly 50,000 Stolpersteine can be seen across 18 countries in Europe, making it the world’s largest memorial. In under an hour, we reached Esslingen, an old town with 1,200 years of architecture, criss-crossed by cobbled alleys, and the Burg (castle), with vineyards draping its slopes like a royal cloak, lording over town. One had to climb 300 steps for a view of Esslingen from the summit. For now the only fortification we were interested in was of the liquid kind as we ambled into Sektkellerei Kessler—Germany’s oldest producer of sparkling wine. After learning the secret of champagne in France, Georg Christian Kessler returned to set up his own company in 1826. Within the 1,000-year-old walls of the keller (cellar) they produced 1.5 million bottles annually. Our eloquent guide Mr Roe took us on a tour of the inner city. “German history is too complicated with kings and kaisers fighting for power. After a glass of sekt you forget everything in any case,” he announced. And, thus, we set off to see the most important of the 800 monuments in the Altstadt (Old Town). Schelztor, the square gate tower, had a quirky installation of a man balancing on a pole. The Skywalker, designed by artist Van der Goetze in 1994, symbolised the medieval maxim that if you could support yourself for one year and one day, you became a free citizen. Esslingen was the most important European town in the 13th century, superseding even Rome. It lay on the Route 66 of the Middle Ages, connecting Antwerp in the north to Venice in the south, crossing the Neckar River. Esslingen am Neckar prospered due to the two bridges that levied a high toll tax offering safe passage to merchants, thus developing as a trading location. It was the oldest, longest and widest stone bridge in Germany. Esslingen also had the oldest continuous timber-frame front with nearly 200 half-timbered houses. The Altes Rathaus (Old Town Hall), with large doors for easy passage of wine barrels, was the best example of Swabian Allemanic architecture. The Rathaus served as a covered market where the baker, candlestick maker and other craftsmen exhibited their goods. Occasionally a death sentence would be carried out in the top window. The new Town Hall built in 1422 was an architectural marvel with nine bells that played over 200 melodies. Each day was represented by a different statue of the ruling planet, which changed daily thanks to a rotary device. After an early dinner at the cosy Weinkeller Einhorn with its recurrent unicorn motif, we continued to scenic Blaubeuren, tucked amidst wooded slopes and rocky outcrops in the valley of the Danube. Being springtime, there was enough daylight to squeeze in a Segway tour to Blautopf (Blue Pool), source of the Blau, Germany’s most beautiful karst spring. Coursing through a 12km-long network of limestone caves and caverns, it emerges from the base of the Swabian Jura (Alps) ending in a 22m deep funnel-shaped pool. The spire of the Benedictine monastery and the water mill mirrored in its blue waters is heart-achingly beautiful. Blaubeuren’s historic town centre was one of the best-preserved in Germany with lovely lanes to stroll around dotted with shops, cafés and inns. We stopped by at Urgeschichtliches or Prehistoric Museum to see its most prized object. It looked like a dressed chicken, but the 6cm sculpture was a remnant of the last Ice Age—a 40,000-year-old figurine of Venus carved from mammoth ivory. Excavated from the Hohle Fels cavern, 4km southwest, it is counted among the world’s oldest sculptures and is the oldest representation of a female figure. At Biberach, another interesting female figure waiting for us. Dressed in a medieval style gown and her hair covered in a scarf (back then if you let your hair loose, you were a loose woman), the ‘wife of the master weaver’ welcomed us to the year 1533. “Watch out for the horseman,” she cautioned, as a motorcar passed close by. It was an entertaining city walk to Weberberg, the medieval craftsmen’s settlement. In 16th century, around 400 looms were located along the lane and a quarter of the population lived off the weaving trade. Fustian, a cloth made of flax and cotton, was a big hit in the Middle Ages and the source of Biberach’s wealth. Since the flax had to be kept damp, weavers worked in the dank environment of the cellar, often developing chronic coughs. We continued our walk to the stunning Marktplatz (market square) dominated by the Stadtpfarrkirche or St Martin’s Church. Dinner was at Weinstube Goldener Rebstock where we had been granted the community table. Usually anyone walking into the restaurant could occupy a free seat there and successive people bought the next round. For this, the table came with a bell with the word ‘stammtisch’, which we were told not to ring, unless we wanted to buy the whole restaurant a round of beer. We were happy with our steamed potatoes with cheese platter and *seele (literally, ‘soul’) German footlong with ham. The next day we came to Pfullendorf, between the river Danube and Lake Constance, where a ‘robber from the 1820s’ took us on a tour. Starting from the northernmost and highest point, Obertor (Upper Gate), the robber decoded secret signs marked on wealthy houses and how money was hidden on wooden beams. The Altes Haus (Old House), built in 1317, was one of the oldest townhouses in Southern Germany with a museum tracing the town’s history. We ended the tour at the subterranean restaurant Felsenkeller with a meal of mashed potatoes and ham baked inside a whole loaf of bread. Any more food and we would have rolled down the steep vineyard slopes all the way to Meersburg. It was located on the northern shore of Bodensee or Lake Constance, the largest lake in Germany. Our guide Jutta said the lake freezes once every century (the last time was 1963), an event celebrated with a procession of St John’s statue. Literally, the Castle on the Lake, Meersburg’s baroque skyline was shaped by wealthy prince bishops who employed the famous baroque architect Balthasar Neumann. The Alte Burg (Old Castle) is said to be the oldest in Germany that’s still inhabited. We explored the chapel in the baroque palace Neues Schloss (New Castle), the Rathaus (Town Hall) and the oldest medieval inn Zum Baren (The Bear) dating back to 1250. Staatsweingut Meersburg is the best place to learn about the region’s wine. Descending sharply to the lakeshore, the vineyards have southern exposure and limestone rich soil originating in the Ice Age, unique to German viticulture. With lovely views of boats and yachts on the lake, lined by pretty hotels and restaurants, Meersburg was the prettiest wine village in Germany. 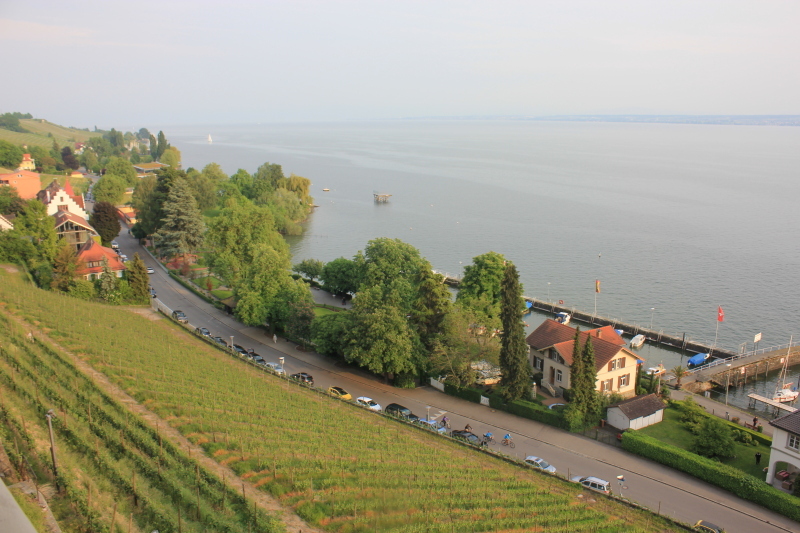 Ironically, the best view of the vineyards does not belong to Meersburg, but to Constance. Legend has it that on the manor Haltnau Wendelgard, all the vineyards belonged to a not-so-pretty lady, her face disfigured by a harelip. She longed for love and wrote a letter to the Mayor of Meersburg that if he or a member of his town council took her out for dinner every Sunday, and gave her a long kiss, all the vineyards would become part of Meersburg. She must have been rather unsightly as the proposal was unanimously rejected. She then wrote the same letter to the Mayor of Constance. Our guide, Frau Jutta remarked, “We don’t know whether the men of Constance were blinder, greedier or less sensitive, but ever since, the vineyards have belonged to Constance and not to Meersburg.” It was time to swig one for the road. Deutsche Fachwerke Strasse or The German Timber Frame Road is a 3,000 km tourism trail that starts from the fishing town of Stade at the mouth of the Elbe River in north Germany and ends at Meersburg on Lake Constance in the south. Divided into six colour-coded regional lines, the route connects nearly 100 towns with half-timbered houses, historical sites and diverse geographic zones – Elbe River to Harz Mountains in Lower Saxony (Blue Route), Harz to Thuringian Forest (Orange Route), Weser Hills via North Hesse to Vogelsberg and Spessart Uplands (Brown Route), Lahn Valley and Rheingau (Yellow Route), the confluence of Rhine and Main into Odenwald (Purple Route) and Neckar Valley, Black Forest and Lake Constance region (Red Route). By Air: Fly to Frankfurt Airport and take a connecting flight to Stuttgart, capital of the in Baden-Württemberg region. From the airport, depart by private coach on the Red Route (772 km), starting with Bietigheim-Bissingen, 25 km north of Stuttgart and Besigheim, 8km north of the twin towns. Ludwigsburg, 15 km south of Besigheim has more hotels and is a good overnight stop. Bypass Stuttgart town and drive 35 km to Schorndorf and another 35 km to Esslingen. Continue 76 km southwest to Blaubeuren for an overnight stop. Cover Biberach, 41 km south, and Pfullendorf (53 km further away) en route to Meersburg, 37 km on the northern bank of Lake Constance. Meersburg to Stuttgart is 186 km. Try Swabian delicacies like pancake soup, spätzle (local noodles), maultaschen (stuffed pasta), seele (long baguette) and white asparagus. Wash it down with Apfelschorle (apple soda) or wine schorle (wine with soda), Kessler sparkling wine cellar at Esslingen, regional wines like Lemberger, Blaufränkisch, Dornfelder, Riesling, Kerner, Müller-Thurgau and Trollinger, besides German beer like Dinkelacker and Holgenbrau. Must try: Secco white sparkling wine pairs well with cheese, the dry Meersburger Lerchenberg Muller-Thurgau is excellent with asparagus, the slightly almondy and buttery Hohentwieler Olgaberg Weissburgunder goes with everything, the Meersburger Jungfernstieg Spatburgunder Blanc de Noirs is ideal with white meat whereas those who love spicy, hot, Indian food might prefer the special Rosé Gutswein Spatburgunder Weissherbst. But with long road trips under our belt, we felt reasonably confident. There was a second round of parleying about the route. We could either ride via Mysore and follow State Highway 88 to Kannur or take the long-winded NH 47 to Thrissur via Salem and Palakkad. We decided to do neither and took the less-explored route to Kasaragod, so we could start from the northern-most tip of Kerala. The straight sparse road from Bangalore to Mangalore seemed perfect and before our Malayali friends could say Thiruvananthapuram, we were off. We sped past the stark landscape till Hassan, climbed the sweeping Ghat roads after Sakleshpur and 50 odd kilometres before Mangalore took a detour south from Uppinangadi. In the olden days, salt and other goods used to be transported upstream in boats to Uppinanagadi from Mangalore and the Kerala coastline. Over time the confluence of the Netravathy and the Kumaradhara evolved into a salt market (uppu angadi), hence its present name. The general plan was to follow the coastal road that coiled its way down Kerala, its black form slithering along the waterways like an aquatic snake. From Ananthapura in the north, the original seat of Ananthapadmanabha Swamy to Thiruvananthapuram in the south, his displaced home; Vishnu’s all-pervasive aura seemed to float on an aqueous bed of rivers, lakes and canals. Stirred by such parallels in mythology, we decided to visit a temple for an auspicious start. And who better to turn to than Ganesha, the Remover of Obstacles? 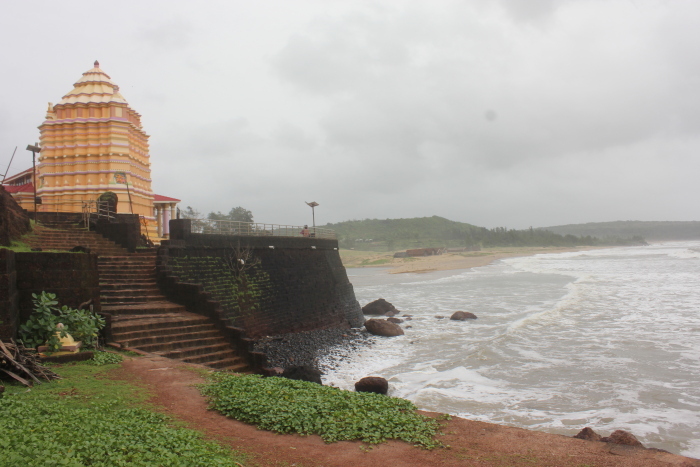 We rode eight kilometres northeast of Kasaragod to Madhur and after a token offering, were ready for my coastal trip. Our first leg would take us through the legendary spice coast of Malabar or ‘The land of hills’, which stretched from Kasaragod to Kannur, Wayanad, Kozhikode, Malappuram, Palakkad and Thrissur. 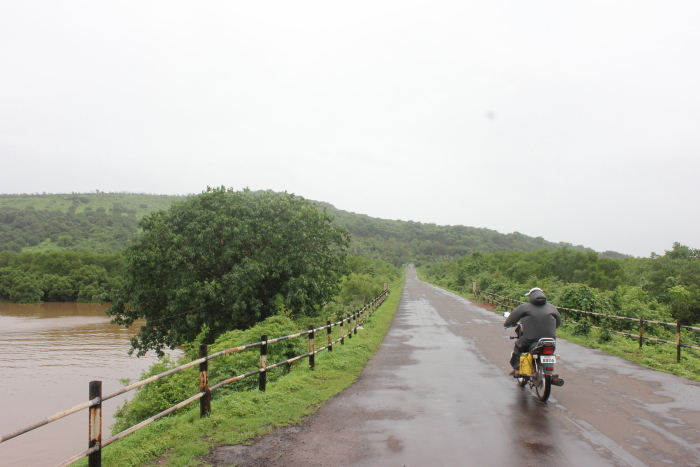 We took a detour south of Kasaragod and as the bike slipped and slid over weeds we rode into Bekal. Famous for the largest and the best-preserved fort in Kerala, this was where ‘Tu hi re’ from Mani Ratnam’s film, Bombay, was shot. 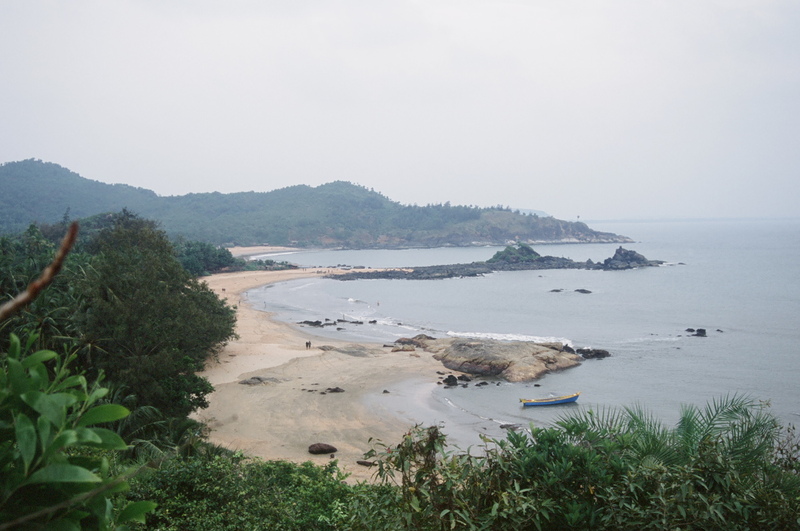 Next came the stunning Pallikere beach and then we carried on to Muzhappilangad, a four kilometre stretch touted as Kerala’s longest drive-in beach, which was more easily accessible. Normally we’re not the kind who drink while driving but when you come across a town like Mahe, even the strongest of characters can suffer a total breakdown of self- control. Apart from Goa, Mahe had the cheapest booze anywhere on the West Coast. Perhaps news of India’s liberation had not reached this intoxicated nook, which is why they were selling booze at such pre-independence rates. Or maybe because it was part of the Union Territory of Pondicherry. Soon, it didn’t even matter. After losing a day but still dangerously flippant, we resisted my urge to take a detour and personally congratulate Payyoli Express PT Usha for catapulting a tiny village onto the international athletic map. However, we did make a symbolic stop at Kappad, where the first Europeans had set foot in India 500 years ago. A small stone memorial on the beach marked the approximate landing spot of Vasco da Gama. It was time for us to drop anchor and we rode down the remaining 16 km to Kozhikode and roamed around the bustling township. It was during one such walkabout that we had our first close brush with the red and yellow Kerala State Transport bus. After narrowly missing us, the mean contraption went hurtling down the unpaved road in a fume of dust, its black cloth windows rolled up on the sides, unfurled only during rains. It seemed, with a little more tweaking, it could even be set to sail. It was time to get back on the bike. It was amazing; just the same way every city had an MG Road, every temple town had a Temple Lane or a Car Street. All temple lanes were more or less the same – narrow, lined by shops and suddenly a temple right in the middle of everything. Same was the case with Guruvayur. We found out that apart from other sacred ablutions, the idol of Guruvayurappan had a abhisheka with panchagavya, a holy mixture of five bovine products – ghee, milk, curd, urine and cow dung. It was even more startling that several pilgrims actually consumed this prasad as it was supposed to cleanse all your inner impurities. We decided we could live with our impurities and bought the regular palpayasam from the prasad counter instead. The sandal paste smeared on our foreheads felt cool as we rode out of Guruvayur, stopping next at the strange paradox that was Kodungallur. There was something in its gene or maybe its location that made it a natural stop for seafarers and missionaries. 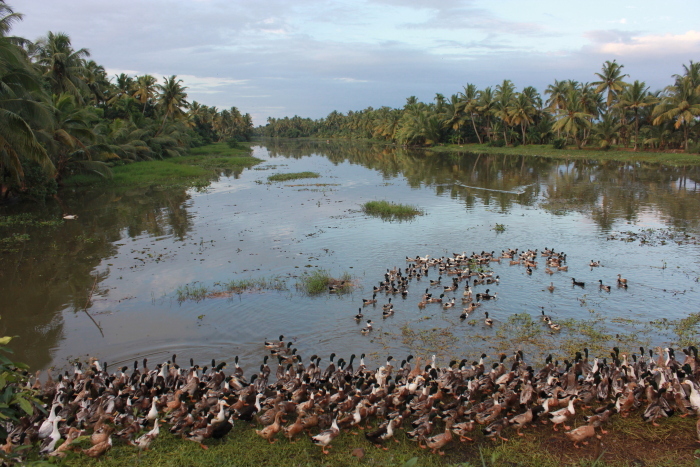 Earlier, Kodungallur was a flourishing port-town called Muziris and an astonishing confluence of cultures. Mentioned in the memoirs of Ptolemy and Pliny, this was where the Romans built a temple for Augustus in the 1st century. This was where St Thomas is supposed to have landed in 52 AD. 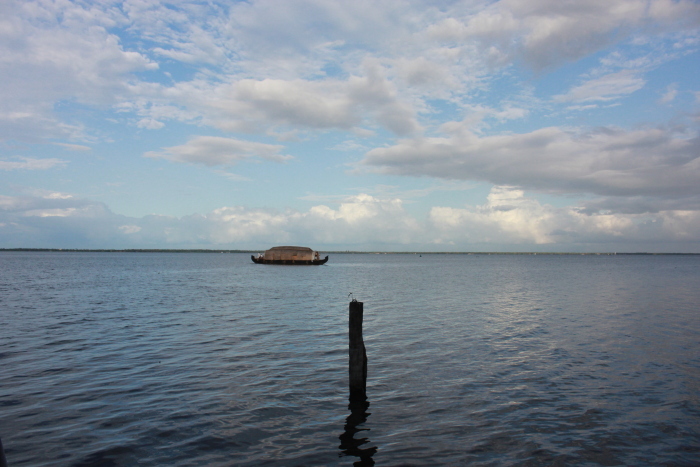 This was where the first Jews arrived in Kerala, as legend has it, in King Solomon’s ship. This was also where Malik Ibn Dinar first landed along with 20 disciples of Prophet Muhammad. But the sudden flooding of the Periyar in 1341 wiped out Muziris and the flood waters gouged out a natural safe port 50 kilometres south. This new small harbour ‘Kochh-azi’ came to be known as Kochi. 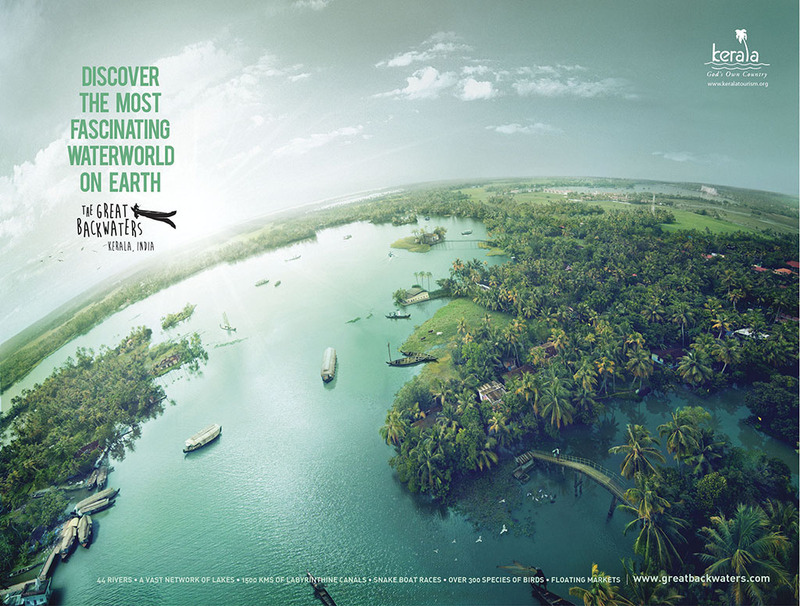 Kochi too was not without its share of glory. After Vasco’s arrival, the Portuguese developed it as a trading outpost and built a fort to protect their factory. Fort Manuel, a tribute to the King of Portugal, became the first fortress constructed by the Europeans in India and this was where Vasco was finally laid to rest. What fascinated us were the Chinese fishing nets, which according to legend, were brought here by Chinese traders from the court of Kublai Khan. 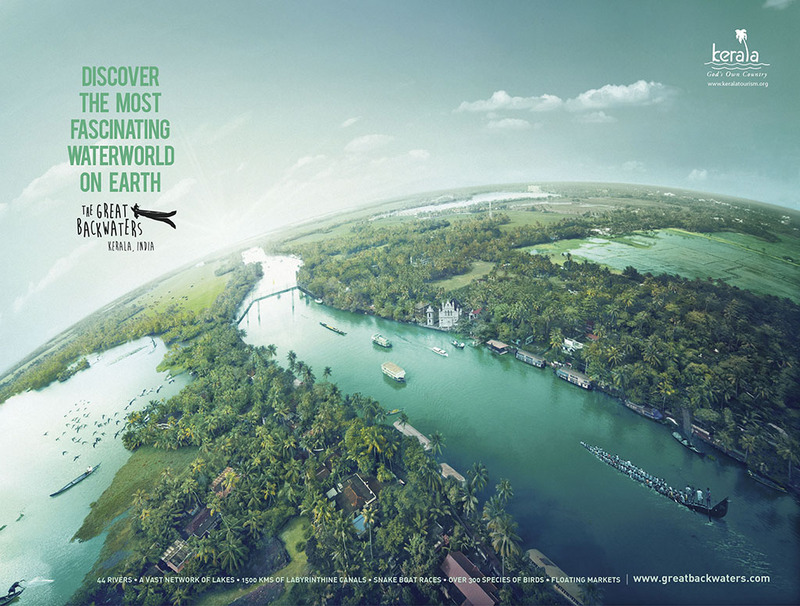 As we left Kochi, we did something unthinkable. We abandoned the National Highway. There was a time when roads as we know them didn’t exist and the entire transportation system in Kerala was a network of rivers, lakes and backwater canals. Boats were the only way to get around. And the mother of all such aquatic highways was National Waterway 3. 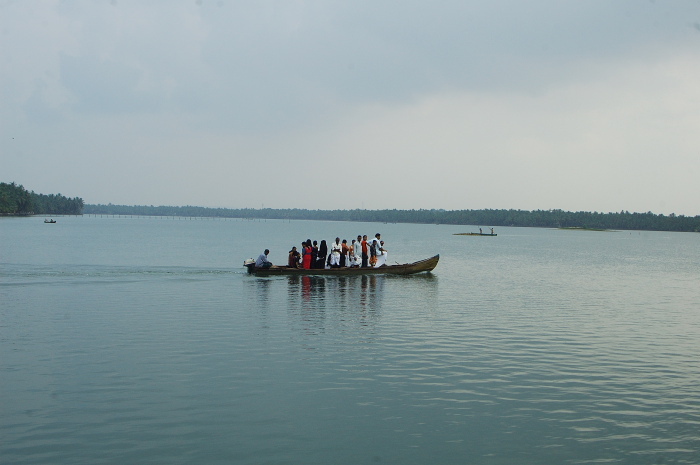 Stretching from Kochi to Kollam, interlinked by several rivers and the Vembanad, Punnamada, Kayamkulam and Ashtamudi lakes, it was a distance of about 150 kilometres. We somehow managed to get a boatman considerate enough to offer us a ride, with a little extra baggage – our bike. We didn’t want to backtrack to pick it later, but could take this relationship only as far as Vaikom, some 30 odd kilometres. After two days of backwater rides, a visit to Kumarakom bird sanctuary, Mohiniattam performances and the joys of Kerala massages, we moved ahead. Our only concern was to get back to the main coastal road, which after joining up with Thrissur had undergone a name change–it had become NH 47! We stopped by at Kottayam to visit the 13th century Valliyapalli and Cheriyapalli churches and were amazed to see a plaque commemorating a State visit by Ethiopian king Halie Selassie in 1956. 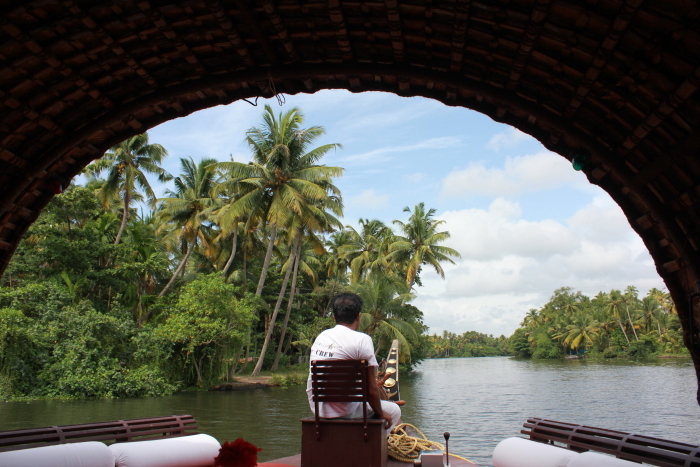 Riding out of Kottayam to Alappuzha via Changanaserry, we got a lazy slideshow of the rich Kuttanad culture. Women wove coir ropes by the riverside, bare-bodied men flung fishing nets with great skill and kids paddled country boats with ease. The river was their lifeline in much the same way we were dependent on it. Mussels, crab, prawn and every variety of fish that the river could yield, we had consumed during our stay. Just the way Parasurama was moved by guilt after his carnage, our salvation lay in a short temple tour. We stopped at the Sree Krishna Temple in Ambalappuzha to taste the legendary palpayasam. We also visited the Subrahmanya Swamy Temple at Haripad, the snake temple at Mannarassala and by sundown made a detour closer to the coast to see the majestic Kayamkulam. The wide mouth of the lake opened into the Arabian Sea offering spectacular views of the sunset. En route we checked out the 18th century Krishnapuram Palace built during the reign of Marthanda Varma, the great ruler of Travancore. The double-storied structure housed one of the largest mural painting in Kerala – the 14 feet by 11 feet Gajendra Moksham. 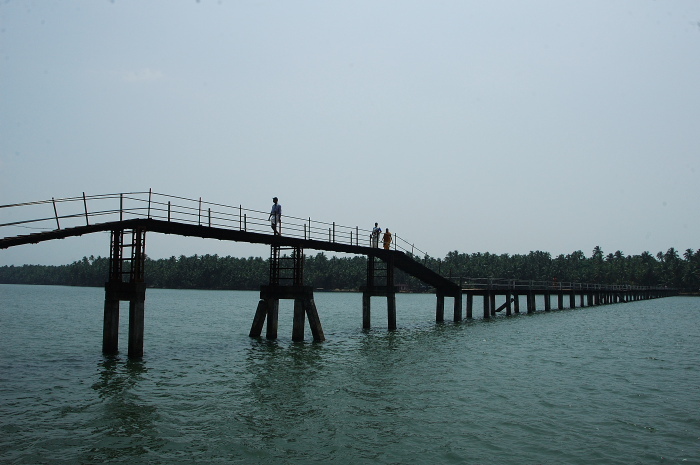 Soon the NH 47 curved to the right and squeezed its way between the coast and the eight-armed Ashtamudi Lake, the second largest backwater stretch in Kerala. NW 3 terminated at Kollam nearby and we forsook the highway and took a smaller road to one last offbeat destination. Varkala, just a little south of Paravur, was a pilgrim centre famous for the Papanasam (Destroyer of Sins) Beach. A dip absolved a person of all the sins he had committed and as a precaution, we spent a good deal of time under water before visiting the Janardhana Swamy Temple. The temple site marked the spot where Brahma consecrated Vishnu as Janardhana. But the story of how the place was chosen reminded us of the manner in which train passengers reserved seats in general compartments – by hurling a handkerchief, towel or any disposable piece of garment. Legend has it that in the hunt for an appropriate place for consecration Sage Narada threw his bark garment (valkalam), and that is how the spot was chosen and named. Having criss-crossed India in buses, jeeps, rickshaws, trucks, tractors, tongas, jugaads, chhakdas and assorted transport, ANURAG MALLICK and PRIYA GANAPATHY present 10 amazing road trips from their travels. Be it rallies from Kashmir to Kanyakumari, trips down Asia’s oldest highway GT Road or funky tuk-tuks participating in the Rickshaw Run, there’s no better way to experience India than a road journey. Mountain roads take you through India’s ghats and passes while coastal drives are dotted with battle-scarred forts and ports that shaped the fortunes of traders and empires. From monuments, geographic wonders, wildlife zones to regional cuisine, each journey comes with its distinct sights, sounds and tastes. The megaphone crackles to life as the convoy of vehicles at Jirkatang police check-post stirs into activity. The inspector’s monotonous drone instructs people not to stop the vehicle, give food or money to wayside tribals, establish contact or take photos else their cameras might be damaged/confiscated. Red clothing is to be avoided. Thus, with a heightened sense of anticipation, the journey up the Andaman Trunk Road commences. The northward route from Port Blair on NH-223 is an amazing 360 km journey through Jarawa territory, a reclusive tribe of Negroid descent, who linger among the shadows of the forest. Fixed convoy timings and ferry crossings at Middle Strait and Humphrey Strait make the trip more exciting. From Chidiyatapu in South Andamans to Aerial Bay in North Andamans, the road weaves past the limestone caves and mud volcanoes of Baratang, Cuthbert Bay Beach near Rangat to Mayabunder and Diglipur in the far north. From Goalpara in Assam to Roing in Arunachal Pradesh, the 740 km stretch of NH-37 is better known as the Assam Trunk Road. Start the journey from Guwahati for a 600 km run to Upper Assam along the Brahmaputra past tea estates, wildlife parks and old capitals. Cross the Bagori and Kohora ranges of Kaziranga National Park to the tea bungalows of Jorhat run by Heritage North East. Visit the Ahom capital of Sibsagar and the old capital Charideo, built by Sukaphaa, founder of the Ahom dynasty. Cross the historic Namdang stone bridge, a 60 m long bridge hewn from a monolithic rock in 1703. Pass by maidams or royal vaults as you follow the eastward trail to the Chang Bungalows of Dibrugarh, Tinsukia and Dibru Saikhowa National Park. Recreate the famous Bollywood route from Bombay to Goa using the less-explored Sagari Mahamarg (Coastal Highway) instead of the usual NH-17. Beaches, sea forts, temples, palaces, dramatic landscapes and Malvani dishes like kombdi vade (chicken curry) and Malvani fish curry make the drive worthwhile. Explore Portuguese forts at Chaul, Alibaug, Revdanda and Korlai, laze by the beaches of Kashid and take a boat ride to the Siddi bastion of Murud Janjira. 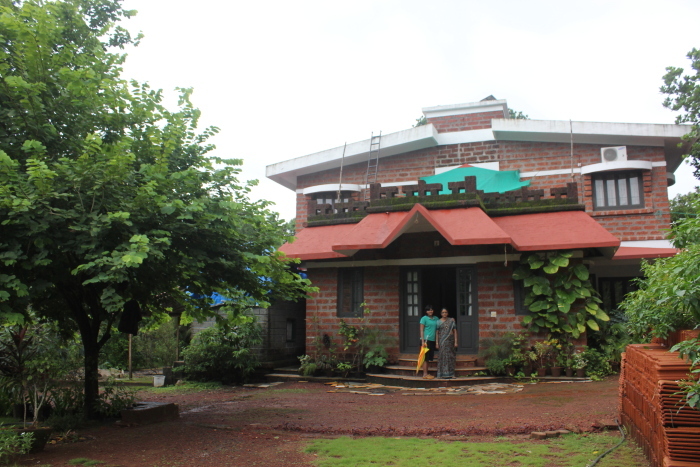 Stop at Atithi Parinay, a beautiful homestay near Ganpatipule for the sattvik pleasures of Konkanasth Brahmin cuisine. Visit the birthplace of Lokmanya Tilak at Ratnagiri and Thibaw Palace, residence of the exiled king of Burma. Follow Shivaji’s footsteps from Jaigad to the forts of Vijaydurg, Devgad and Sindhudurg. Explore lesser-known beaches like Mithbav and Sagareshwar or coastal towns like Malvan and Vengurla while staying at Bhogwe Eco-Stay, Maachli or Dwarka Farms. 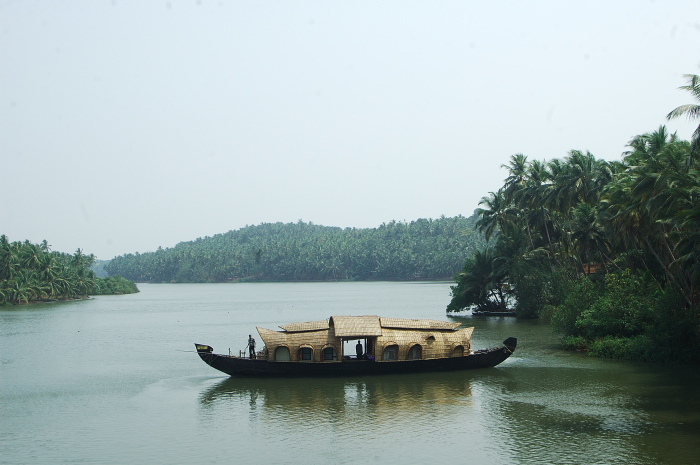 Drop by at Tiracol Fort and Aronda backwaters before crossing the new Kiranpani Bridge to Arambol. The Manali-Leh highway, a part of NH 21, is a 490 km adventure that pits a traveler against the world’s highest passes, nullahs (streams), windswept ridges, strange geographic formations and India’s most surreal landscapes. Open for only 4-5 months in a year from May-June to mid-October, the road connects Manali to Lahaul, Spiti and Zanskar valleys in Ladakh. Negotiate the treacherous loops of Rohtang Pass (13,051 ft) in the Pir Panjal range for a night halt at Keylong or Sarchu. Tackle the three great passes of the Zanskar range Baralacha La (16,050 ft), Lachlung La (16,598 ft) and Tanglang La (17,480 ft) with the high road bisecting the rambling More plains, like the Buddhist Middle Path to nirvana. Take an excursion to high altitude lakes like Pangong tso and Tso Mo Riri or continue past the Upshi checkpost to Leh. The 369 km drive from Kasaragod to Kochi down NH-17 or Edapally Panvel highway takes you along Kerala’s legendary Spice Coast that drew colonial powers for trade in pepper and cardamom. Start from the Malik Deenar Mosque in Kasaragod and forts at Bekal and Chandragiri with a houseboat ride at Valiyaparamba Backwaters. Watch a theyyam at Parassinikkadavu Muthappan temple and 150 species of snakes at the Snake Park nearby. Explore Kannur’s many beaches Meenkunnu, Payyambalam, Thottada and Ezhara while staying at seaside homestays like Kannur Beach House and Shanti Theeram or make a gourmet stop at Ayisha Manzil for ‘Tellicherry Pepper’ cooking holidays. Visit the museum and palace of the Arakkal Ali Rajas and see the colonial imprint of the Portuguese, British and French at St Angelo Fort, Thalassery Fort and Mahe. 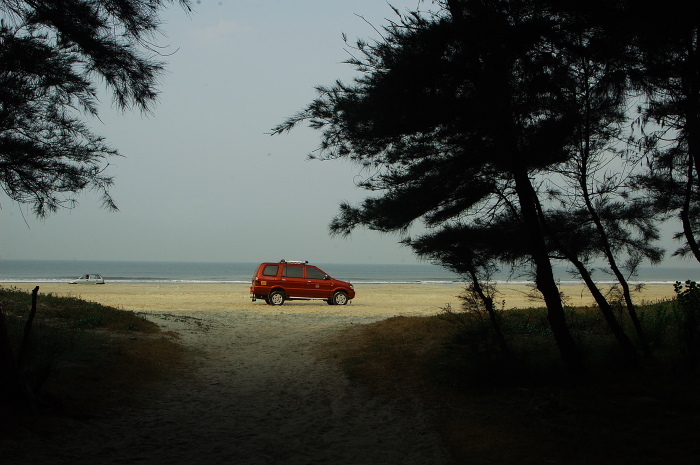 Chase the surf at Muzhappilangad’s drive-in beach and buy local handicrafts at Sargaalaya craft village in Iringal. Walk on the wide sands of Payyoli Beach where PT Usha learnt to run or watch sea gulls swoop at Kappad where Vasco Da Gama landed in 1498. Visit century old mosques at Kuttichira and feast on pathiris, biryanis, Kozhikode halwa, banana chips and Moplah cuisine. Continue to the ooru (boat) building hub of Beypore, Kadalundi bird sanctuary, past Vallikunnu and Ponnani to Kodungallur, with its Bhagavathy temple, St Thomas Church and Cheraman Juma Masjid, India’s oldest mosque. With Chola ports, Danish enclaves, French colonies and unique temples dotting the drive, the NH-45A or East Coast Road (ECR) is a journey down history. Drive south from Chennai for a cultural stop at Dakshin Chitra and Cholamandala Art Village or observe muggers, gharials and snakes at Madras Crocodile Bank. Mamallapuram, the maritime capital of the Pallavas of Kanchi, makes for a great halt with its shore temples, bas reliefs, monuments and stone carvers. Cover the stunning Nataraj Temple at Chidambaram, the mangrove forests of Pichavaram and the korai pai (grass mat) makers at Thaikkal. Stay at villas, mansions and boutique hotels at trading outposts from French Pondicherry to Danish Tranquebar. Nagore dargah, Sirkazhi temple and Velankanni’s churches add a spiritual dimension to the trip. Drive south to Ramanathapuram en route to Rameshwaram or continue southward on ECR to Thoothukkudi, a 643 km drive from Chennai. 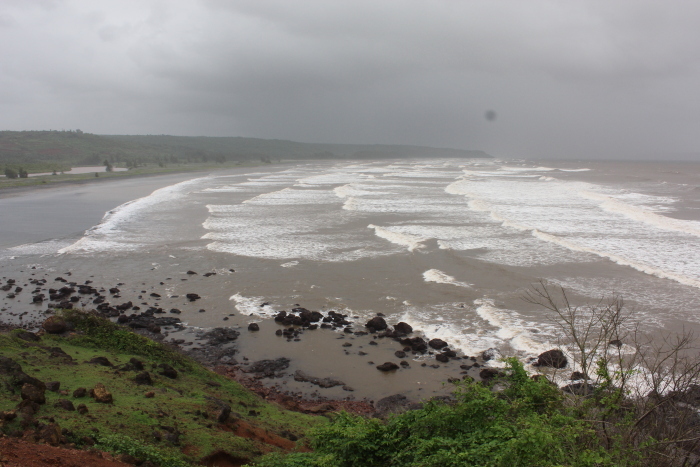 Hemmed in between the Arabian Sea and the Western Ghats, the 320 km Karavali coastline is a scenic marine drive. Start at Mangalore with the temple of the guardian deity Mangla Devi and the Udupi Sri Krishna temple. 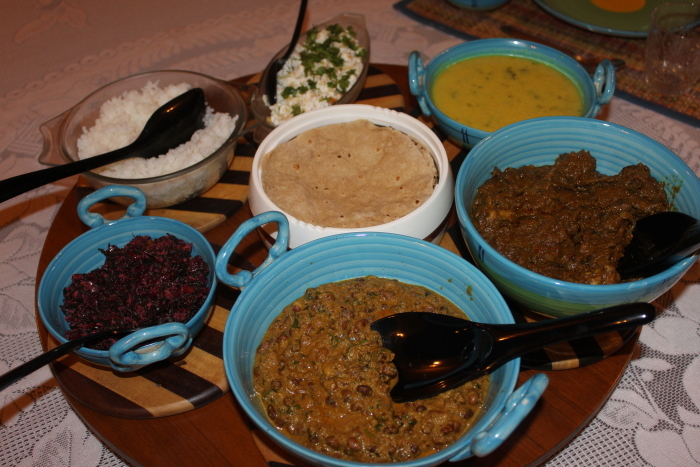 Savour Dakshin Kannada fare at an Udupi café or try Mangalorean fish curry and Kundapur chicken. Lose yourself in the dozens of heritage structures transplanted at Hasta Shilpa Heritage Village at Manipal. Take a boat ride from Malpe harbour to St Mary’s Island, relax in the gentle surf at Turtle Bay Trasi or drive past the ocean road at Marvanthe to Baindoor for backwater rides and high sea adventures at Sai Vishram Beach Resort. Say a prayer at the world’s tallest Shiva statue in Murudeshwar and worship the atmalinga at Gokarna while exploring its beaches. Go on banana boat rides at Devbagh Beach Resort and find your muse at Karwar, where Rabindranath Tagore wrote his first poem. Rajasthani men in fluorescent turbans, rustic women in long veils and herds of camel nibbling on roadside khejri trees holding up traffic, a road trip of Rajasthan is a colourful adventure. From the Pink City of Jaipur to the Blue City of Jodhpur to the Golden City of Jaisalmer, the desert safari packs in many thrills. Near Rohet on NH-65 is the roadside shrine of Motorcycle Baba or Bullet Banna, where travelers pray at his garlanded photo and the enshrined 350 cc Bullet motorcycle for a safe passage. Participate in an opium ceremony in the Bishnoi village of Guda Bishnoi and visit the Khejarli Memorial where 363 people sacrificed their lives to protect a grove of the sacred khejri tree. You can expect milestones bearing strange names like Chacha, Lathi, Bap, Dudu and Luni, trailers ferrying strange equipment to Kandla Port and Hotel Shimla in Pokharan! Listen to Dr Bhang’s sales spiel as he stirs up a bhang lassi at the Jaisalmer Bhang Shop. Visit the ghost town of Kuldhara, an abandoned village of Paliwal Brahmins and ride camels named Michael Jackson and Raja Hindustani in the dunes of Sam. Surreal salt pans, ancient stepwells, miles of coastal roads and vibrant Kathiawari culture, Gujarat is a relatively unexplored driving destination in India. Driving up Surat and Baroda, arrive at the Gulf of Khambhat coast where the former vidi (grassland) of the Maharaja of Bhavnagar was converted into the Blackbuck National Park at Velvadar. Drive along the coast to the old Portuguese enclave of Diu, the temple at Somnath, Mahatma Gandhi’s birthplace Porbander, the ancient city of Dwarka and the erstwhile princely state of Jamnagar. Cruise around Mandvi, Bhuj and Dholavira to explore the Little Rann of Kutch (LRK), a vast salt-encrusted plain of dark silt. In this remarkable landscape wild asses roam free and large flocks of Demoiselle Cranes and flamingoes breed in winter. LRK is an eco-tone, a transitional area between marine and terrestrial ecosystems and its location on the bird migration route makes it an important stopover for 300 bird species. 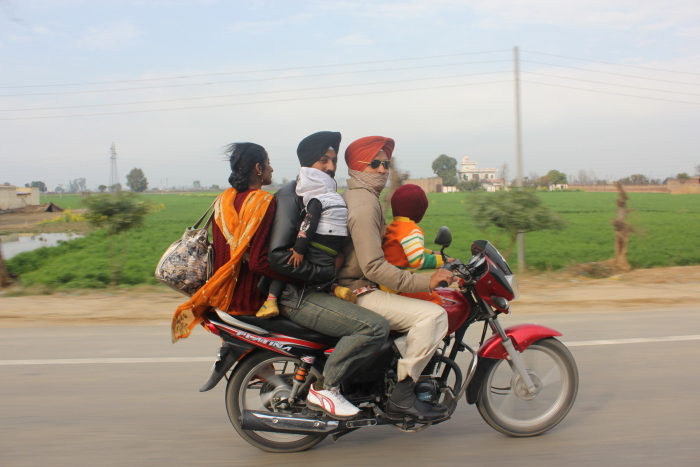 A trip to Punjab is more than a scenic ride past mustard fields. 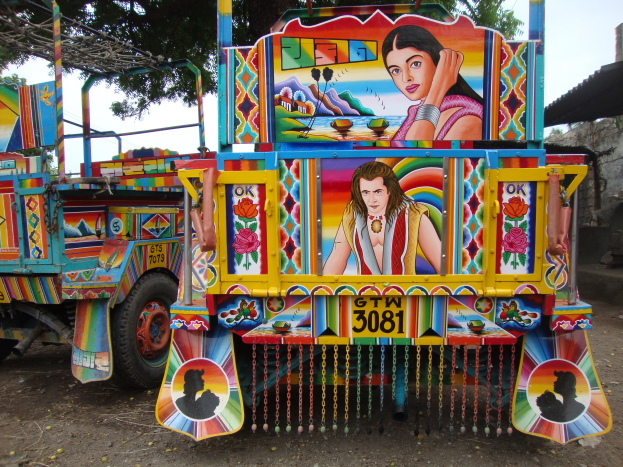 On the 300km run from Patiala to Wagah you’ll see rural hamlets with stretch limos, mansions sporting water tanks shaped like weightlifters and roadside restaurants churning lassi in washing machines! At Kila Raipur Sports Festival near Ludhiana, burly men twirl gas cylinders like toys as desi sportstars tug motorbikes and tractors with their beards at Punjab’s Rural Olympics. Follow the Sutlej river to Phillaur, developed by Sher Shah Suri as a caravanserai, used as a daak ghar (postal center) by Shah Jahan and the site of Maharaja Ranjit Singh’s fort. The Police Training Academy houses India’s oldest fingerprinting unit set up in 1892 and a museum with weapons, burglary tools, Lord Lytton’s sword and the pen used to sign Bhagat Singh’s death warrant. Follow tractors overloaded with sugarcane to Phagwara with its Jagatjit Town Hall or Kapurthala’s Jagatjit Jubilee Hall featured in the film ‘Tanu weds Manu’. At Jalandhar, watch hockey sticks and cricket bats being handcrafted at the Beat All Sports factory. After a mandatory stop at Amritsar’s Golden Temple, discover bonesetters, kulcha makers and shops selling papad-warian. At Wagah, witness the border-closing ceremony with foot-stomping soldiers and BSF cheerleaders as foreigners pose against signs welcoming all to the world’s largest democracy. Authors: Anurag Mallick & Priya Ganapathy. This article was the Cover Story for the November 2013 issue of JetWings International magazine. ANURAG MALLICK travels 2400 km by road across Jharkhand in a Bolero over 10 days through remote tribal habitats and Naxal terrain. The Birhors (literally, forest people) still live in kumbas made of leaf. The Lohars still practice the dying craft of blacksmithy. The Asurs, who migrated from the Gangetic plains, are believed to be the first iron smelters of the subcontinent. Of the 30 different tribes spread over the Chhotanagpur region, the Santhals are the most predominant and the amicable Mundas, the most ancient. It is in these adi-vasis (an interesting derivative is ab-origine, both meaning ‘people from the beginning’), that lies the answer to everything. The Chotanagpur Plateau serves as a meeting place for the Himalayan and Peninsular biospecies. Here, you find a portion of the oldest part of the earth’s crust, making it the most ancient geological formation in the country. The recent findings of hand axes and blades in Pathalgarwa and the cave paintings littered across the Northern Karnapura Valley during mining operations have further harped on the region’s antiquity. Besides being India’s largest producer of iron ore, coal, mica, copper, bauxite and uranium, the mineral-rich Chotanagpur Plateau happens to be the greatest producer of lac in the world. Its pliable soil has fashioned many artefacts, its soft wood has created several handicrafts and its metal-tinted earth spawned a myriad paintings. Yet, such fascination is not new, as people have been seduced by its stories for centuries. The Mughal generals under Akbar and Jehangir invaded this territory for the sake of its diamond and gold deposits. Sher Shah came all the way to fight the Raja of Jharkhand to obtain the white elephant Syama Chandra. In an obvious behavioural chink, the elephant never threw dust upon his head like the other pachyderms and Sher Shah believed that its possession would ensure him the throne of Delhi. For years, the region has been typecast as a mining hub with little to offer except industrial centres like Bokaro, Dhanbad, Jamshedpur and religious hotspots like Deoghar, Rajrappa and Parasnath, the Jain pilgrimage centre atop the highest hill in Jharkhand. Some obvious excursions like Top Chanchi, Dimna and Dalma were omitted in this issue not out of oversight but by intention. The idea was to go beyond the obvious to uncover what lay beyond. It resulted in a 2400 km circumabulation of the state, starting from Ranchi and the waterfalls around it. The anti-clockwise odyssey took us via Chaibasa, Kiriburu, Jamshedpur, Purulia, Panchet, Maithon, Massanjore, Dumka, Basukinath, Deoghar, Parasnath, Surajkund, Tilaiya, Hazaribagh, back to Ranchi. The last leg of the journey to Netarhat, Betla and back to the state capital via Latehar was perhaps the most leisurely. Breakfast, usually at sweet shops, comprised freshly made poori with aloo sabzi and the customary jalebi. The rare lumps of aloo in a yellow sea of mild gravy stood out like islands of hope for our taste buds. Sometimes to break the monotony, we ate litti and dhuska, a salty pua made of rice and chana dal. Wherever possible, we glugged glasses of the local brew handiya and whether it was a line hotel or a circuit house, always insisted on a full grown desi chicken. In the end, all we had to show for our efforts was a mystical world of unbelievable stories. The Ligirda swamp, where a mere jump on a hillock can cause the swampy earth to tremble. Barsori, a tiny hamlet off a village road between Betla and Netarhat, where a sharp clap of the hands produces a customary shower of water droplets. Duarsini, an obscure village on the far side of Jonha Falls where potatos are known to weigh at least a kilo. Littipara, where the curd is so thick that you can carry it home in a gamchcha (red flimsy towel). Legend has it that the true test of its thickness is that if you throw a lump of curd against the wall, it will stick. 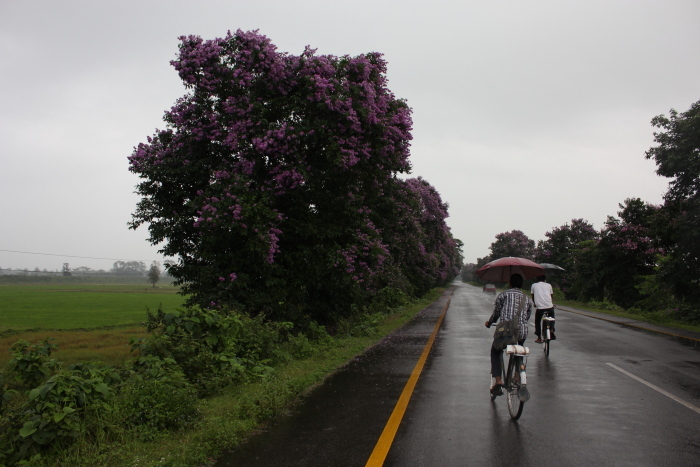 There’s something about the Ranchi climate and its greenery that has always inspired great men to greater things. Maulana Abdul Kalam Azad started writing his famous commentary on the Quran here. 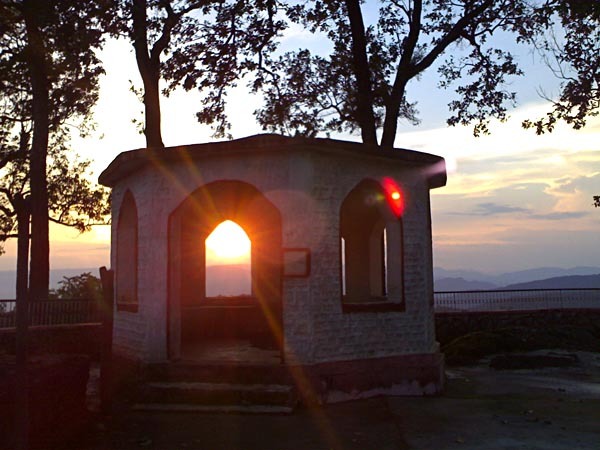 Jyotindranath Tagore often spent a contemplative hour on Tagore Hill before composing his thoughts. Some contend that Rabindranath Tagore was inspired to pen down his literary classic Gitanjali right here in Ranchi. Even the wise British appointed it as the summer capital of Bihar and many officers chose to write their memoirs in its tranquil surroundings. With such an august assembly that had graced Ranchi’s past, it was difficult for an ordinary writer like me to even lift a pen. The best I could do was to at least go about discovering the land that inspired them. 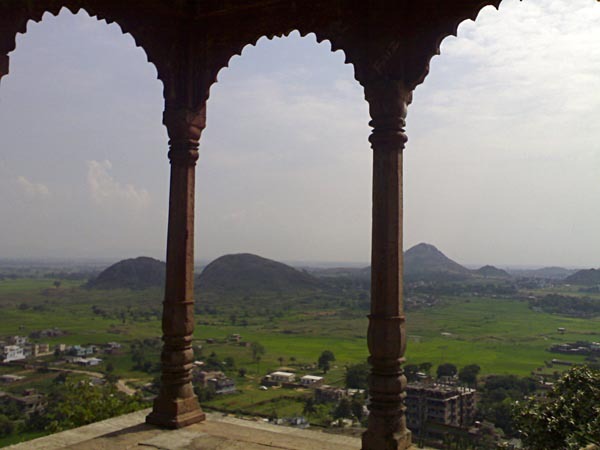 On the northen periphery of Ranchi and about 5 km from the city centre is its chief attraction, Tagore Hill. Showing great real estate acumen for his time, Jyotindranath Tagore bought a large patch of land on the Morhabadi Hill and its adjoining areas and made it his home. His fourteen long years of self-imposed exile were well spent in study and his love for the arts. It’s believed that his younger brother Rabindranath often visited him from Calcutta, spending time musing on the hill. Over the years, the small hillock was simply dubbed Tagore Hill in memory of the elder brother, who lived there until his death in 1925. As you enter through the white-washed, mural-lined main gate and climb up the steps, the city of Ranchi begins to take form. The busy lanes disappear into a green landscape interrupted by small hillocks, lakes and distant signs of habitation. Halfway up the hill, is a white building that will eventually house a museum dedicated to the life and times of the Tagore brothers. A pathway leads to the top, where an old chhatri built by the Tagores untidily lists out who loves who in Ranchi. If you can ignore the grafitti and the amorous couples, the spot still remains an inspiring perch, offering a tryst with the rising and setting sun. Close to Tagore Hill is Kanke Dam, with a rock garden lanscaped with an amusement park and water slides at the base of the hillock. Hatia, the other waterbody, lies at the other end of town and tends to be less crowded. After you have had your share of churches, temples and relics of the Raj, escape from the busy town to Ormanjhi, a 20 km excursion on Hazaribagh road. The Birsa Munda Jaivik Udyan (Biological Garden) is a rare repository of rare herbs, plants and animals. About 15 km ahead on the Ormanjhi–Sikidiri road, is the Crocodile breeding centre at Muta. With two crocodiles from the nearby Bhera river and three from the Madras Crocodile Bank, the project was initiated in 1987. Today, the numbers have swollen to about 50. Back in town, the Jharkhand Tribal Research Institute with its anthropological museum and library is the perfect place to understand the people and their rich culture. The road wove past small villages with chai stalls selling samosa and kachori. Young boys sat astride painted bicycles with a glarish cluster of plastic flowers; some in school uniforms, some sporting goggles, a bright bandana and t-shirts with Dhoni’s portrait. If Tanushree Dutta had placed Jamshedpur on the Bollywood centrestage, Mahendra Singh Dhoni had hoisted Jharkhand onto the international map. Petrol pumps around Ranchi proudly flaunted ‘Dhoni was here’ signs, feeding off the dizzying fame of the bike-crazy cricketer. At a small stream on the outskirts of Ranchi, we saw a tribal boy mending a strange basket that looked more like a lamp. On enquiry, he said that it was a fishing basket made out of bamboo and thread drawn from plastic bora (gunny sacks). We waited patiently till he finished. Meanwhile, his wiry companion blocked a section of the river with broad leaves, stone and soil. They diverted the stream and placed the basket at one end. Its unique valve mechanism ensured that once the fish entered, it couldn’t escape. After a while the trapdoor floor was opened into a basket to store a silvery mass. The overjoyed kid pointed out all the varieties of fish – that’s Magur, that white-coloured one is the Ponthi and the finger-sized one is Kusma. In one magical moment, that little boy scarcely 3 feet high from the ground, instantly rose in my eyes to the stature of a giant. 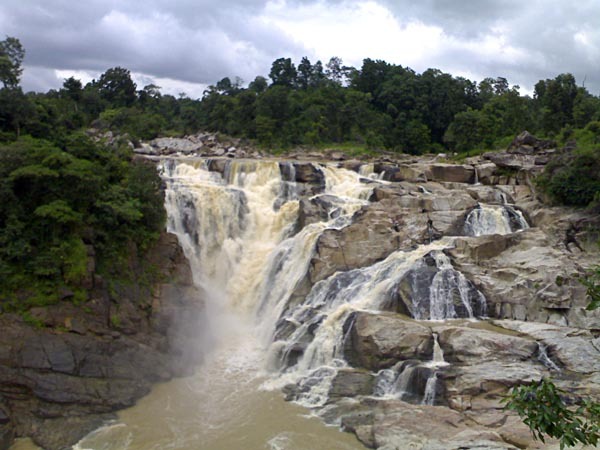 Ranchi is surrounded by several waterfalls, though they are all scattered in different directions. Jonha and Sita along with Hundru form one cluster on NH-32 to Purulia and can be covered along with Dassam, on the Ranchi-Tata route (NH-33). If you start early, you can cover all these in a day. The Panchghagh and the far-flung Hirni lie on the route to Chaibasa. From Dassam, you can also cover Panchghagh, by continuing on the diversion from Taimara to Khunti. Sadni, Lodh, Sugabandh and Mirchaiya are best covered if you are travelling between Netarhat and Betla. Named after Sita who is believed to have bathed here during her years of exile, Sita Dhara is less visited and hence more difficult to access. The steps leading down often get obscured by foliage. Those who take the trouble to go down to the bottom of the fall will be rewarded by sight of a pair of footprints, which are believed to belong to Sita. Located about 45 km from Ranchi, the spectacular Hundru falls are created by the Swarnarekha river falling from a height of over 320 feet. About 700 steps take you down to the base of the waterfall, an exercise that is sure to drench you when the torrential waterfall is at its prime. Getting there: From Ranchi take the NH-32 to Purulia and come to Angarha. From there a left turn takes you 22 km to Hundru, whereas the straight road takes you to Jonha and Sita. 16 km from Angarha you’ll reach the gateway at Amrutbagan Chowk, from where a 5 km drive will take you to Jonha. 1 km short of Jonha is a diversion, from where a 5 km drive will take you to Sita. For Hundru, take the left from Angarha and drive 22 km. Erroneously thought to mean ‘ten’ after the number of rivulets, Dassam actually means ‘falls’ in the local Mundari language. The Kanchi river plummets from a height of about 144 feet and you can see the waterfall from platforms at different elevations. Getting there: Situated about 40 km from Ranchi off the Ranchi Tata highway, you take a right turn from NH-33 at Taimara. 3 km after crossing Taimara, there’s a diversion from where a left takes you to Dassam and the right, to Khunti. Panchghagh is the collective name for a group of five waterfalls (panch ghagh in the dehati tongue) formed in a row due to the breaking up of the Banai river. Cemented walkways connect the different cataracts, of which stream 2 is the most popular while 5 is the biggest, though a bit inaccessible. You can walk down from the tourist shelter to the base of stream 2. Further downstream is a forest patch with a clearing that’s a very popular haunt for picknickers. The Ramgarha river which travels 12 km through dense jungles, plunges down in a broad torrent as Hirni. From the car park, a walkway to the left takes you to the other side of the river to a tourist hut whereas steps to the right lead up to the top of the hill. 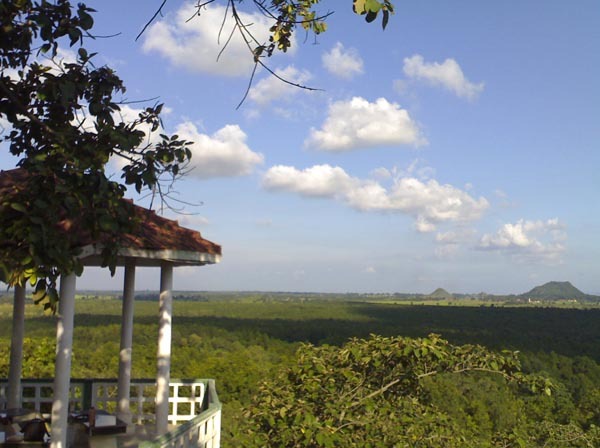 From an observation tower at the top you can see the mighty fall and the jungles that lie beyond. A little further up there’s a bridge spanning the river and a shed. A tourist complex with a restaurant and lodging facility is currently under construction near the car park. The caretaker Lemsa Purti recounts how his ancestors migrated from further upstream after they saw a rat afloat on a piece of wood. Which is why, of all the totemic clans, the Chutia (rat in their language) Purtis revere the rat and do not harm it. Lemsa conjectured that the name Hirni perhaps comes from the profusion of deer in the area. Even today, the limestone kohs (caves) deep inside the jungles above, are home to beasts like tigers, bear and porcupine. Getting there: About 75 km from Ranchi on the road to Chaibasa, Hirni is 22 km further from Panchghagh. A dry leaf in the Saranda forest slowly falls to the thick carpet of leaves. You don’t even notice its abnormal descent, which is not in slow swinging arcs, but straight down like some dead weight. Halfway down its trajectory, and you realize, that what you have mistaken to be a leaf is actually a Flying Lizard pirouetting down to the jungle floor. It’s a rare sight of the endangered reptile, but that’s the kind of magic Saranda wields. Spread over an area of 820 sq km, Saranda is home not just to the largest sal forest in Asia but also the densest you would have ever seen. Legend has it that the foliage is so thick that sunlight rarely creeps down to the forest floor and you often have to switch on headlights during the day. Even the intrepid British, lured here by the rich mining prospects, referred to this remote, inaccessible region as ‘The Tibet of India’. Chakradharpur, a stop on the Eastern Railway network, was a popular stop by road too. We were halted abruptly at the railway crossing as if being forced to acknowledge its significance. A goods train, laden with coal, painfully inched past like it was inspecting our parade – dusty trucks carrying cement, autos, bicycles and a motley bunch sweltering like giddy schoolchildren in the hot afternoon sun. Jeeps crammed with people seemed to compete in some perverse attempt at a world record. Most of the vehicles had speakers on their roofs, facing outside! I realized why, as they shot through the thickly wooded road, screaming like Banshees, the blaring speakers serving as the only warning. The en-route stop at Jagganathpur for its weekly haat was a colourful affair. Thousands milled about in the rural mart with makeshift shops selling clothes, earthen pots, vegetables, agro seeds, ducks, poultry, dried fish and white balls of ranu for making handiya. There were stalls after stalls selling handiya in large pots. The busy female bartenders were dishing out the local brew in broad sal leaves folded into improvised bowls. Tired after their shopping spree, the women drank themselves silly and meandered back to their villages with their haul of goods. 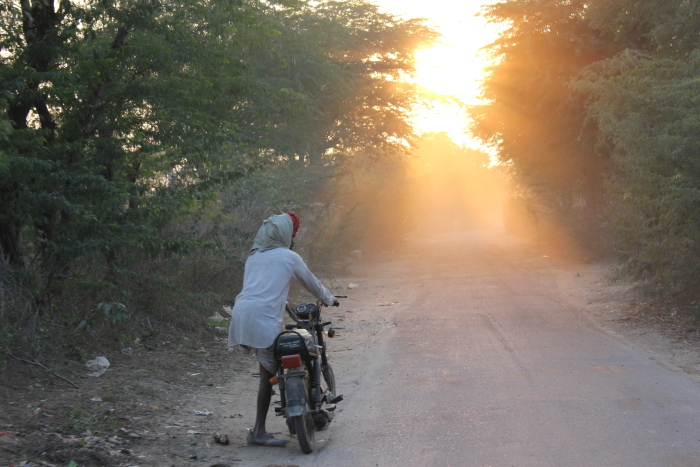 Long after we had crossed Jagganathpur we were still seeing people dropping off like flies by the roadside. Leaving the tricky Noamundi route, we took a bypass from Kotoghar and emerged through the jungles at Bada Jamda. It was dusk by the time we reached Hathi Chowk, from where the tar road climbed around the mountainside to Kiriburu. It seemed that the stars had descended on earth that night, till we realized that the twinkling lights were actually from the mines. The hilltop SAIL Guest House was a welcome respite after the arduous journey. Over dinner, the caretaker Narad Bodra, outlined Kiriburu’s history. It was the British who had laid the foundations of the mining industry since the time of pre-independence. Later, the Japanese developed the mines and constructed factories. 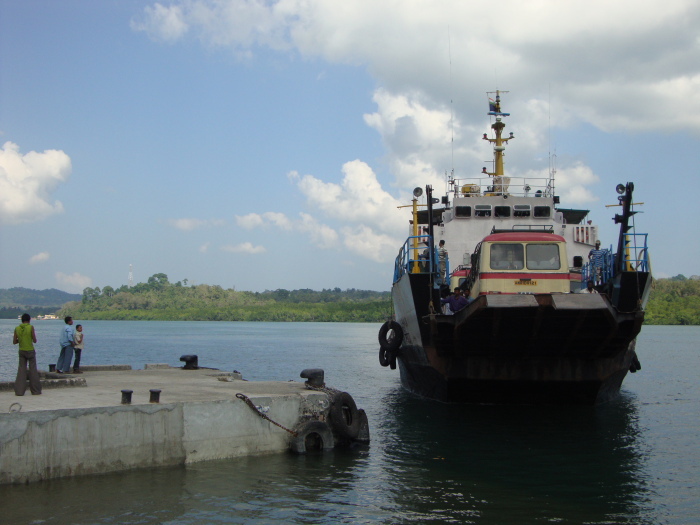 In 1964, SAIL began its operations at Kiriburu, which spread to Meghatuburu and Noamundi. Soon, the rich manganese and iron ore deposits drew many others. Even today, the water from the Ghagharati waterfall inside the mines is sourced to wash the iron ore. We retired early to catch the sunrise. The Sunrise Point, located a short walk behind the SAIL Guest House on Hill Top, was bathed in the serene early morning glow. Slowly the mist cleared and the green landscape began to take shape. A greater part of the day was spent exploring the neighbouring areas of Saranda and we were fortunate to meet the Saranda Queen. With a perimeter that measured nearly 9 m, the Saranda Queen was the oldest sal tree in the Saranda forests. On the way back, we saw Ho tribal women artfully balancing piles of firewood with children slung to their back. Thankfully, we were just in time for some tea and sunset. By Road: There’s a daily bus from Ranchi to Kiriburu which goes via Chaibasa. If you are driving down, it’s a 140 km ride to Chaibasa via Khunti, Bandgaon and Chakradharpur. From there, take the Jhinkpani, Hat Gamhariya, Jagganathpur route to Baraiburu, 80 km away. Because of the frenetic mining activity, avoid the dumper-infested road via Noamundi. Instead, take a bypass through the jungle after Jagganathpur at Kotoghar to emerge at Bada Jamda. From there, cross the railway track and take the left from Hathi Chowk for the final 30 km climb to Kiriburu. By Rail: The smarter thing to do is to take a train. From Jamshedpur, take the Tata Gua Passenger at 8:15 am which reaches Bada Jamda at 12:30 pm. From Calcutta, the Howrah Barbil Jan Shatabdi Express (2021) leaves at 6 am and reaches Barbil (20 km away from Kiriburu in Orissa) at 1 pm via Kharagpur, Tatanagar and Jamda. Alight at Bada Jamda and take a cab, which are also available on share basis. To get back you can take the return Barbil Howrah Express (2022) at 1:30 pm. 30 km from Kiriburu and about 46 km south of Manoharpur is Tholkobad, a village that lies at an altitude of 1800 ft. Once the favoured haunt of the British, this was where they built an isolated dak bungalow in 1905. It is no longer operational but Tholkobad still offers pine forests, sloping hills and excursions into the lush Karampada jungle. Located 10 km from Tholkobad is Loyall’s View, a vantage point that offers a closer look at the hillocks of Saranda Forest. A natural wetland spread over 7-8 acres, the Ligirda swamp is a narrow patch created by the perennial Ligirda Lor river. It is located about 4 km from Tholkobad. Locals say that if you stand on a particular hillock and jump, you can see the marshy earth tremble all around. Because of the obvious dangers involved, it’s best to go along with a local guide. 20 km from Tholkobad, the Koel and Karo rivers merge near Manoharpur to jump 100 feet as the Toybo Fall. This area is still home to the wild elephants of Saranda. The Santhals love to recount the legendary saga of their folklore heroes as it reminds them not only of the sacrifices made by their ancestors but also of the beautiful land they rose to defend. Clothed in green and right at the border of Bengal, Massanjore is perhaps one of the least explored parts of Jharkhand. Its rural life, steeped in tribal traditions, was to give rise to yet another hero. A lanky lad with curly hair faced the camera for the first time, winning a National Award in his very first celluloid adventure. That lad was Mithun Chakraborty, whose Mrigya was shot on location near Massanjore in the nondescript village of Taldangal. It is the first of the many discoveries you’ll make in the area. Massanjore’s chief attraction is the 2100 ft long dam, built with Canadian co-operation across the Mayurakshi river. The foundation stone was laid by Dr. Rajendra Prasad in 1951 and the sluices were opened four years later by Lester Pearson, the External Affairs Minister of Canada. In a fitting tribute to its partners, the concrete structure was called Canada Dam. Though the dam lies in Jharkhand, the beneficiary state is West Bengal. For permission to see the Power House and Operation Gallery of Canada Dam, contact the Supintending Engineer, Mayurakshi Canal Circle at Seuri, 40 km away. The muddy brown waters of the reservoir are a stark contrast against the green hills. At two vantage points, are located the two Inspection Bungalows of West Bengal & Jharkhand. When LK Advani’s famous ratha yatra entered Bihar, Lalu challenged him, halting the progress of the proverbial Ashwamedha horse and lodging Mr Advani temporarily not in any prison, but in the remote Jharkhand IB of Massanjore! From the Jharkhand bungalow you can see the Mayurakshi escaping through the sluices in a gushing arc. The West Bengal IB is perched atop a hillock and offers a stunning view of the reservoir. Though boating has been stopped of late, forest walks and a trip to the garden at the foot of the dam are some activities you can indulge in. You can sit for hours just gazing at the beautiful Mayurakshi though it is the magical sunset that enthrals most visitors. 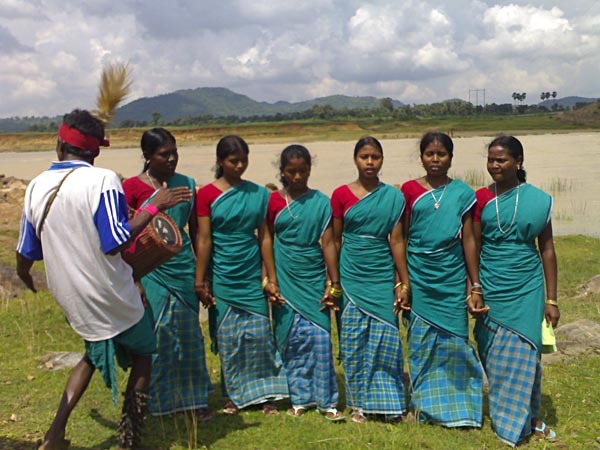 To get a whiff of tribal culture, you can visit Saltalla to see the Santhal tribals in their element. They have various dances and are willing to oblige interested visitors for a small sum. Starting off with Karamneer, the ritualistic welcome of the guest, they perform Dong, usually danced during marriages, Lagne, a magha pooja celebration and the famous Karam nritya, where boys and girls form circles as tribute to the creator. At the start of the Dussehra puja, they perform the Dasain, marking the end of the puja with Bungarum (propitiating the goddess). The dancers become so engrossed in the dance that they squat on the ground like chickens and emerge from the trance like state only after receiving the goddess’ blessings. Massanjore is 31 km from Dumka. Drive 16 km on Rampurhat Road, turn right from Pattabari More and drive for 15 km on the road to Seuri in West Bengal. If you are driving to Dumka from Maithon, go via Jamtada, Palajori and remember to turn right at the Sidho Kanhu memorial at Baghdaha More. Further ahead if you take the Ranighaghar Nischintpur route, you’ll save at least 25-30 km. Before it was transformed into a buzzing powerhouse of hydroelectric activity, it was the peaceful abode of Maa Kalyaneshwari. The name is a corruption of Mai-ka-sthan; Mai’than perhaps being the Bangla way of saying it. The temple at Kalyaneshwari, scarcely 4 km from the dam site, is tucked away in quietude whereas all the action seems centred around the lake. Spread over an area of 65 sq km, it is Damodar Valley Corporation’s largest reservoir in the state. Though the dam was designed for flood control across the Barakar river, it has inundated several lesser known Jain shrines in the process. Maithon has a unique underground power station, believed to be the first of its kind in South East Asia. DVC has 14 power plants Close by, a deer park and a bird sanctuary have been established. On an island in the lake is a rest house which offers accommodation. Boating and fishing facilities are available. Getting there: Maithon is 52 km from Dhanbad. If you are coming from Jamshedpur or South Jharkhand, you can bypass the coal belt of Chas, Bokaro and Dhanbad and drive through West Bengal. Take the route via Purulia and drive down Barakar Road via Raghunathpur, Barakar and Chirkunda. From Maithon, you can drive further to Dumka/Massanjore via Chittaranjan, Jamtada and Palajori. Theories abound whether the name comes from a thousand gardens or a thousand tigers, though the lush forests are indication enough that both existed in equal measure. The most famous ‘bagh’ was a mango grove where troops, travellers and saints camped while taking the old road from Kolkata to Varanasi. Lord Buddha passed this way, Chaitanya passed this way, the British passed this way, though some, like the buddhajibis (intellectuals) of Bengal, could not tear themselves away from the greenery and settled down in its wonderful climate. In Hazaribagh it’s not uncommon to find old houses with quaint names like Dutta Manor. Despite its allure, travelling to Hazaribagh wasn’t easy. Thanks to its topography, there was no railway connection then; there’s no railway connection now. In the olden days, people got here by taking a train to Giridih and then travelled in a push-push, a sort of palanquin on wheels that was literally pushed and pulled by coolies. The perilous journey had to pass through dense forests full of bandits, beasts and unknown dangers. Yet, it was the same taste of adventure that inspired Rabindranath Tagore to travel along this route in a push-push in 1885. He penned down the memoirs of this incredible voyage in an essay titled ‘Chotanagpur’. Today, travelling along this hilly tract dotted by lakes, streams, forests and ravines still remains a surreal experience, minus the dangers of old. Perhaps the best place to soak in Hazaribagh’s natural beauty is from Canary Hill, which affords not only a bird’s eye view of the town and the lakes but also the dense foliage that surrounds it. A 6 km dirt track from the main road takes you to the top, where you can stay at the Kanheri Hill Guest House. The name of the guest house and the road that leads to it, are most probably a corruption of the British appellation ‘Canary’. On another hill nearby, 575 steps lead you to the old observation tower built by the British. It earlier had a canteen and a searchlight, but both are not in use anymore. Locals rue that ever since Betla cornered the wildlife market, Hazaribagh National Park is not what it used to be. The number of beasts in the jungles might have dwindled, but of late, the thick forests are eliciting a different kind of interest. The entire Hazaribagh district has been found to be rich in Palaeolithic deposits – dolmens, Neolithic sites and far flung stone shelters replete with Mesolithic rock art. Interestingly, it is these ancient rock paintings of the Karanpura Valley that serve as the prototype of the existing art forms of the Kurmis, Oraons, Santhals and other tribes. For a deeper understanding of this unusual heritage, take a detour from Canary Hill to meet Bulu Imam, the local convenor of INTACH and a vociferous champion of the endangered sites. 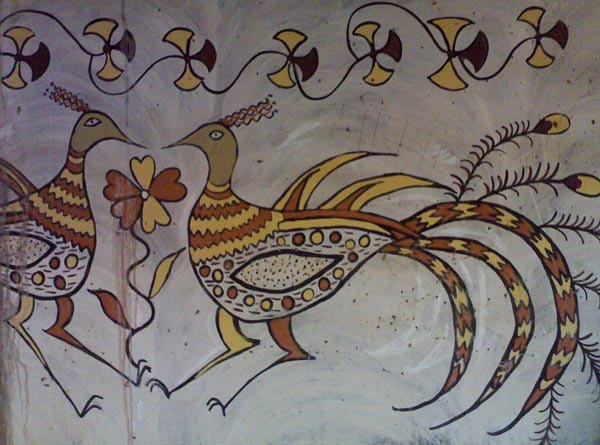 In a quiet grove called Sanskriti, Bulu set up the Tribal Women Artists Co-operative to nurture sacred traditions like the Khovar painting (decoration of the bridal room during marriages) and Sohrai art (ritualistic painting of the house during the harvest season). Putli and other state-level artists have found a refuge and a new meaning. The different tribal styles have been neatly represented in a museum that also houses interesting archaeological finds. Bulu is a busy man and is helped in this endeavour by his sons Justin, Gustav and his extended family. Apart from hundreds of articles, he spends much of his time collaborating with specialists who can help him promote the rich cultural heritage of the region. “More international visitors have come to this tiny nook than the whole of Hazaribagh district”, he says with a twinkle in his eye. According to legend during the treta yuga, this area was the tapobhumi of Sarvangi rishi. Despite his austerities the sage suffered from painful body sores. When the banished trio of Rama, Lakshmana and Sita came here during their exile, they were greatly disturbed by the sage’s condition. Lord Rama then propitiated the sun god Surya, the giver of all life, and created a hot spring. He then made Sarvangi rishi bathe in its miraculous waters and the sage was healed in no time. The hot springs remained hidden in dense forests for centuries until the Maharaja of Patiala cleared a road, tiled the floors and made steps for the kund in 1218. Even today people suffering from skin ailments and rheumatism come from afar to Surajkund to consecrate the holy amla (gooseberry) fruit. It is said that if your prayers are to be fulfilled, the amla you place inside the kund will float to the top in under a minute, otherwise you may sit for a whole day and the fruit will remain immersed at the bottom. What’s even more amazing is that despite being in the same vicinity, the different kunds have variable temperatures. Surya kund’s scalding water measures at 88.5 C, Ram Kund is 55 C, Lakshmana and Brahma are 45 C while Sita is a mild 5 C. At noon, the water level in all the tanks decreases and regains its original level only when the sun has sunk a little. Pandit Vijay Pandey elaborated that the boiling water of Surya Kund becomes cool only during a solar eclipse! Nearby is a tank where water from all the five kunds merge into one where devotees can have a therapeutic bath. Not far from the kund are some old temples dedicated to Surya, Shiva, Hanuman, Radha Krishna and Durga. Though visitors to Surajkund are few, the place comes alive every year during Makar Sankranti when the Surajkund Mela is held with great fanfare between 14-30 Jan.
Getting there: Surajkund is 72 km from Hazaribagh, located half way between Barhi and Bagodar on GT Road (NH-2). It is a 2 km diversion off the highway from Belkappi, near Barakattha. Propelled into limelight because of repeated song requests on Vividh Bharti, the famous Jhumri Tilaiya is actually not one place, but two. Jhumri is a small village 3 km from the more famous Tilaiya, home to the legendary Sainik School and the Tilaiya Dam. The road climbs the ghats after Barhi, offering a glimpse of the dam from afar, before it swoops down to neatly bifurcate the reservoir. Built across the Barakar River, the Tilaiya Dam and DVC-run Hydel Station are dedicated to the people of India. The foundation stone was laid by Pandit Jawaharlal Nehru and a scenic park was made on Nehru Island to commemorate his visit. Local boatmen offer rides in large boats that can easily seat about 20 people. The boat won’t move an inch till at least 10-12 people are on board at the cost of Rs.10/head. A slightly longer foray to Nehru Island costs Rs.200, plus waiting charges. Getting there: From Hazaribagh it’s a 36 km drive till Barhi, where the Ranchi-Patna highway (NH-31) is intersected by the GT Road (NH-2). It’s a 23 km drive from Barhi Chowk to Tilaiya. From Urwan, take a right turn and a 6 km ride past the Sainik school will deposit you at Tilaiya Dam. According to legend Lord Buddha once sat in meditation in the quiet environs of this place. His aunt tried in vain to distract him and she gave up, muttering Iti Khoyi, literally ‘Lost Here’. Over the years the name was phonetically corrupted to Itkhori, a place that has become the latest attraction on the Buddhist circuit. However, Itkhori is a fine example of religious tolerance as you can find several Jain and Hindu shrines next to the Buddhist relics. Apart from the 9th century Maa Bhadrakali temple complex, a Shiva linga with 1008 lingams carved onto its surface, the beautiful images of 104 bodhisattvas sculpted on a stupa and the foot impressions of the 10th Jain tirthankara Sheetalnath, there are several Buddhist sculptures of great antiquity. Getting there: 20 km from Hazaribagh on the road to Barhi is a diversion to the right called Itkhori More, from where Itkhori is 30 km away, 16 km west of Chouparan. The beautiful Koel murmured like a tropical birdsong. Left of the bridge at Banari, it was a wide shallow stream and to the right it gurgled through a bed of rocks. Immediately after Banari, the ghat road began its final 22 km ascent to Netarhat. Lined with sal trees and a profusion of bamboo, the mountain road slowly climbed through the sun-dappled forest. Through gaps in the dense foliage, you could see the plains below merge into sloping mountains in the distance. The British had described Netarhat as ‘a plateau that lay across the seven hills west of Ranchi’, lending it an aura of a mythical land that existed only in their imaginations. Perched like a shimmering crown on the crest of Chhotanagpur at 3800 feet, it was the highest point on the plateau. Little wonder they had endearingly called it the ‘Queen of the Chhotanagpur’. A little over a century ago, the British had set up a military camp at Netarhat. Because of lack of good water in the immediate vicinity, the cantonment soon closed down. On a chance visit to the area, Sir Edward Gait, Lt. Governor of Bihar and Orissa grasped the true potential of this four mile long, two and a half mile broad plateau. 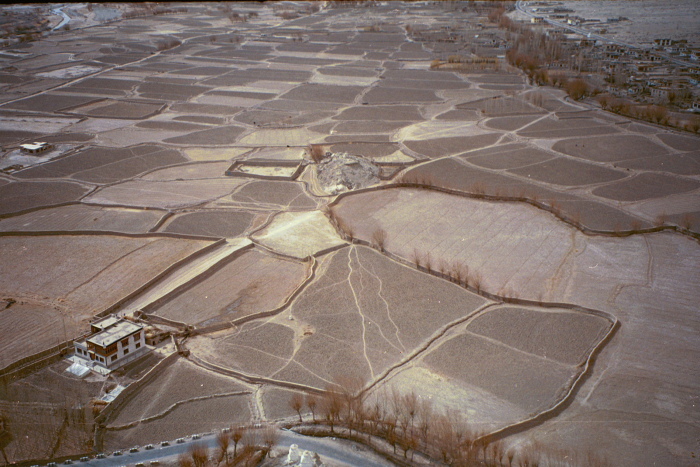 The British soon created an artificial dam solving the water problem. After Sir Edward, many successors emulated his holidaying ways and soon Netarhat became a permanent summer retreat of the Governor. Inspired by its bracing climate and green hillocks, the homesick British, in their quintessential wry humour, corrupted the name from Netarhat to ‘Near the Heart’. Contrary to popular belief, that’s not how the place was named. It was in fact, a corruption of the local adivasi name Netar Paat or ‘Hillock of Bamboo’. Even today, the hills (or paats) of Netarpaat, Paseripaat, Doomerpaat, Sobhipaat, Dasvanpaat and Jamedoorapaat abound in a profusion of bamboo and several tribes, primarily the Kisan, Birjia, Korwan and Paharia. The erstwhile British Governor’s Chalet, a beautiful wooden structure, is the stuff legends are made of. Story has it that once upon a time the governor’s beautiful daughter fell in love with an adivasi boy who worked in their household. Love in the lonesome hill retreat blossomed like a forest flower bursting into bloom. Sure enough, with time, the governor’s daughter realized that their mismatched love was futile. Some whisperers say she was carrying a child. Despite being a high ranking officer’s daughter, she knew that the strict British authority would neither spare her, nor the tribal boy. So she spoke to the local villagers and chose the most beautiful spot in town; where the sloping Netarhat plateau ended in a deep chasm. Legend has it that she came bounding in her horse and leapt to her death, dashing against the rocks below. Several days later, the soldiers found her body and interred her with honour. The governor named the spot Magnolia Point after his daughter. The adivasi boy was shot and the two lovers were finally united in death. A plaque summarises the immortal love story of Magnolia and as you watch the magical sunset, your heart wells up with a thousand emotions. From Magnolia Point you can see the villages of Saniadera, Korgi and Aadhe, which stand out like green patches against the blue green hills. Some British officers rode horseback through the shortcut from Betla to Netarhat, often braving the perils of the forest. “Akhir ghoda bagh ka lahsun hai, saheb (The horse is like garlic or spice to the tiger),” quipped Sudh Ram Birjia, the local caretaker, bringing chai and the tastiest pakodas on earth. Even now you can trek down to the villages through the forest trail, though it’s best to take along a local guide. Enroute to Magnolia Point, a 10 km drive via Batuatoli, you can find the other attraction in town – the Netarhat Public School. Set up in 1954 with the credo of ‘Atta Deepa Vihrath’ (Be thou thine light), the residential school follows the traditional gurukul system. Students call their teachers Shrimanji, the female teachers are addressed as Ma, the hostels are Ashrams and equal stress is laid on Sanskrit, Hindi and English. A 3 phase entrance exam has ensured admission on merit, with a long line of illustrious alumni. The main square has a beautiful statue of a local tribal woman with a child balancing a pot on her head. The beauty of Netarhat is that it has the quiet aura of a meditative mountain retreat, minus the touristy trappings of a hill station. The pace of things at the cluster of shops in the town square seems unhurried. Make sure to eat the delectable samosa-ghughni before you start your explorations around town. The Netarhat dam, 1 1/2 km from the main chowk, is a tranquil spot and Koel View Point, 3 km away, affords spectacular views of the Koel river meandering below. On moonlit nights the Koel is transformed into a magical silvery stream. The excess water of the Netarhat dam drains out into a valley to form a picturesque waterfall called the Upper Ghaghri, 4 km away. The Lower Ghaghri, 12 km from Netarhat, is also worth a look for its 320 feet cataract. For a slighter longer excursion you can take a 10 km hike to Banari through a forest shortcut. Though Netarhat’s peak tourist season is from October to March, monsoons tend to be contemplative, the clouds are beautiful in November-December, whereas in June-July you’ll find the nashpati orchards laden with ripe juicy pears. Visit it anytime round the year and each time you’ll realize that it truly is ‘Near-the-heart’. Netarhat is 155 km from Ranchi and a 4 1/2 hr journey. Get onto Ratu road and drive down via Mandar to Kuru, where you leave the NH-75 and head to Lohardaga, Ghaghra and Banari, from where a 22 km ascent takes you to Netarhat. At Dumberpat, or Netarhat Mod, it’s just a 7 km ride to the right through the archway while the left takes you to Mahuadanr and Betla. The waters of the Burha river flow from Chhattisgarh and fall into Jharkhand from a height of 468 feet, making it the highest cataract in the state. Earlier known as Burha Ghagh, the waterfall dashes down the rocks from three sides, its white waters glinting in the sun. From the car park, there’s a forest trail interspersed by 255 steps though you can hear the sound crashing waters from afar. Getting there: From Netarhat, drive 40 km to Mahuadanr, from where Lodh is a 19 km diversion. Drive straight from Shastri Chowk and turn left from the pond at Pandridippa. Betla has the unique distinction of being the site for the first tiger census in the world. The study was conducted in 1932, which soon paved way for the Palamau forests to be notified as a wildlife preserve. By 1974, the park became one of India’s earliest tiger reserves under Project Tiger. Littered with the forts and monuments of the local Chero kings and blessed with a dense profusion of sal, Betla is like a marriage between the two famous parks of north India, Ranthambhore and Corbett. The drive from Netarhat to Betla cuts through the fields of paddy like a scythe in long sweeping arcs. In some empty patches, villagers plough the red earth with bullocks, till you slowly descend into a dense forest patch. 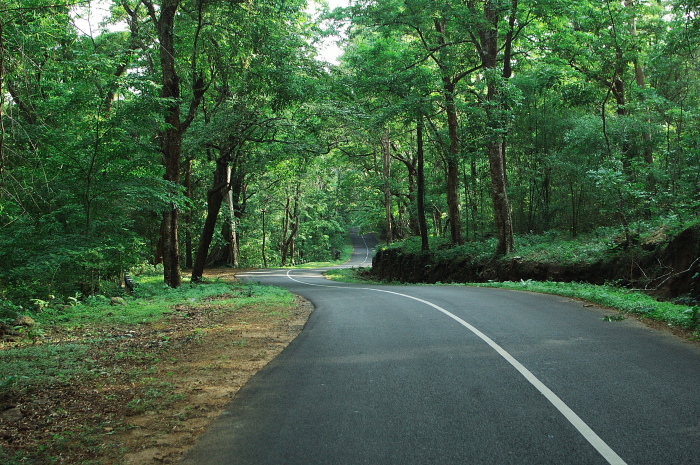 Just before the forest check-post at Baresand, a 2 km diversion off the main road, leads to the scenic Sugabandh falls. After Maromar, you cross the bridge at Garu, where the Koel river runs alongside the road for about half a kilometer as if racing you, till it loses interest and swerves off into the jungle. Then without warning, it appears again, cutting across the road in the form of a nullah, like an aquatic speedbreaker. The vehicle cruises through, throwing a fine spray, much to the delight of squealing school children. And again..and again. Scarcely 3 km from Garu is Mirchaiya, a 100 ft waterfall perhaps named after its slender shape, which can be seen right from the road. Before long, you penetrate the deep jungles and enter Betla. After registering our vehicles at the barrier, we came to the park entrance. A signboard proclaimed ‘B for Bison, E for Elephant, T for Tiger, L for Leopard, A for Antelope’, clearly spelling out what Betla had in store for its visitors. However, it wasn’t the only witticism Betla had to offer. Over tea, a local forest guard recited a funny couplet that traced the advent of the British along that route. “Garu mein daru piya, Bhorbandha mein ghoda bandha, Chhipadohar mein chhip gaya aur Baresand mein saand hua.” We doubled over with laughter and entered through the park gate. Apart from jeep safaris, you can also hitch a ride with Juhi or Anarkali, the resident elephants. It ensures a deeper foray into the dense jungle and you can easily sight bison and lots of ungulates. The watchtowers at Chaturbathwa, Hathbajhwa and Madhuchuan give you a better chance to sight a tiger. Evenings are considered more conducive for sighting. Early mornings are more suited for birdwatchers, who can see several of the 175 species of birds found inside the park. There is also a Nature Interpretation Center (Timings: 10 am to 5 pm) at Betla with displays of animal figurines, a museum, library and an auditorium that screens wildlife films. A fee of Rs.100 entitles you entry into the park between 5 am to 5 pm and also an excursion to the Palamau fort. The Palamau Kila, as the local Cheros call it, is located 5 km from Kutumu More, north of the park entrance. Raja Medini Rai, the most famous king in the adivasi Chero line, defeated the Maharaja of Chhotanagpur in his capital city of Doisa and with the spoils of war, built the lower Palamau Fort. The whole area abounds with the legends of the generous Medini Rai, under whose reign, the kingdom prospered. The king often moved incognito from house to house to see if anyone was without a cow or a buffalo. According to a Chero saying ‘In the reign of Raja Medini Rai, no house was without a churner and butter’. Neither did the king levy any tax on the income of his subjects. Once he thought of asking each headman to offer at least one shell as his tribute. To his surprise he found that he was presented by a gold shell instead! Though the lore of Medini Rai lives on, his legacy seems to be fast crumbling to ruin. Within the old fort you can find the remains of stables, the royal area and an unprotected well with an underground chamber used by royals to privately draw out water. The impressive main gateway once had square amethyst and lapis lazuli tiles that shone like gems in the afternoon sun and moonlit nights. Through a narrow staircase with half-eroded steps you can climb onto the 40 feet high walls that had resisted invaders for over two centuries. However, one section of the fort wall was breached when the British fired a cannon at the weakest spot, demolishing the kachcha wall. A section of the fort was completed by Medini Rai’s son Pratap Rai while his father was busy in battle. Pratap Rai also constructed a newer fort on an elevated patch, which is in much better condition. The fort has three main gates, notable among which are the Singh Dwar (Lion Gate), the largest of the three, and the Nagpuri Gate, which has inscriptions in Sanskrit and Persian. 2 km from the fort is the Kamal Dah jheel, where the royal family used to bathe. Legend has it that Medini Rai’s queen was so delicate and sweet-natured, that when she bathed in the lotus pond, the lotus never sank! Unbelievable? Visit this magical outpost of the Cheros and you’ll be a believer for life. By Road: If you are coming from Netarhat, the 120 km drive takes you to Betla via Mahuadanr. While coming from Ranchi, get onto Ratu Road and instead of turning from Kuru to Lohardaga and Netarhat, continue straight on NH-75 via Chandwa and Latehar towards Daltonganj. 10 km before Daltonganj, you take a left from Dubiya More to Betla 15 km away. By Rail: The tri-weekly Hatia-Delhi Swarna Jayanti Express (8603) runs on Monday, Tuesday and Thursday, stopping at Daltonganj and Barwadih, the nearest railway station, 14 km away. However, it’s easier to get a cab to Betla from Daltonganj (25 km). Maromar has a Forest Rest House built in 1947 with two canary yellow rooms, but its chief attraction is the Kusumi tree house that was added in 1993. Built around a kusum tree, the twin-roomed wooden structure is accessible by a flight of stairs. The balcony opens out to a forest patch that offers you the luxury of birdwatching without moving a muscle. The forest slopes upward to the Hulukpahad mountain that dominates the landscape. On the far side atop the mountain is a watchtower that affords magnificent views of the forests of Betla. To get there, drive 4 km from Maromar to Bhorbandha, from where the ‘Atthais Turning’ forest road, named after the 28 winding turns, curves upward to the mountain top. Alternately, from Netarhat, you can get there from Daldaliya. For bookings, contact Chief Conservator of Forests, Daltonganj (South), Forest Division, Daltonganj Ph: 06562-222422. You can also book the FRH at Aksi and Garu from here. Author: Anurag Mallick. 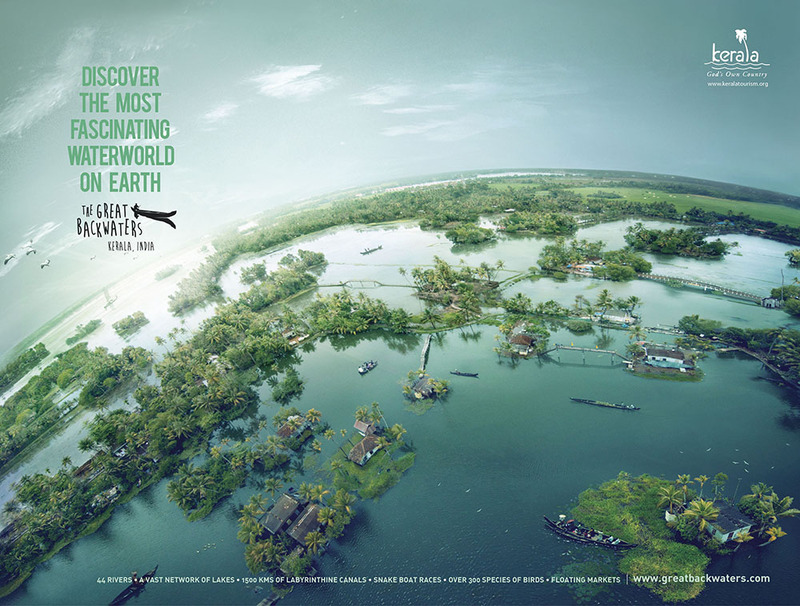 This appeared as a special 20-page supplement in the November 2006 issue of Outlook Traveller magazine.